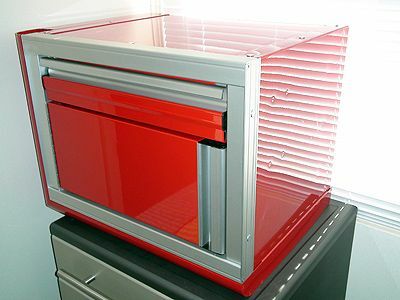 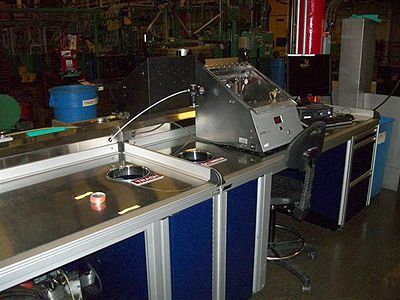 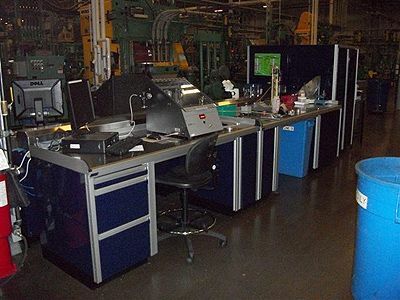 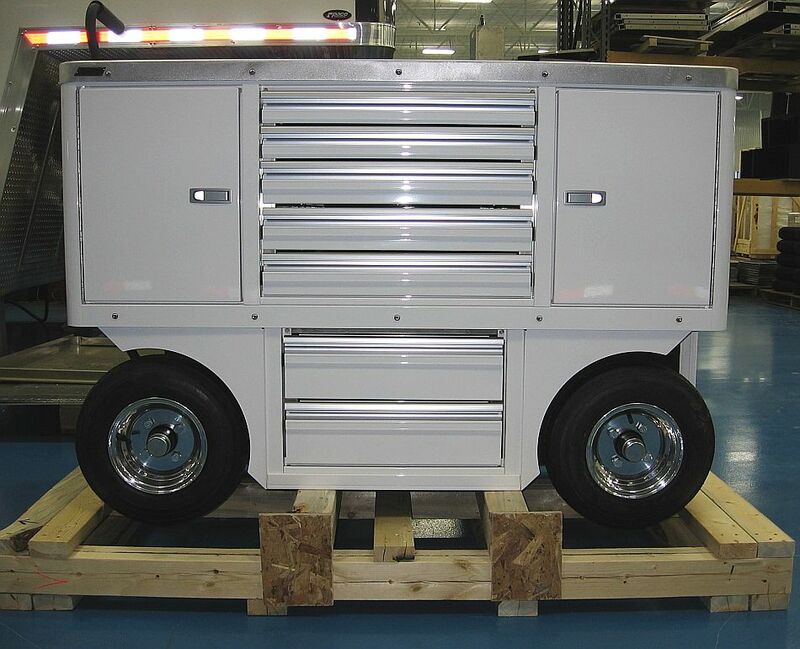 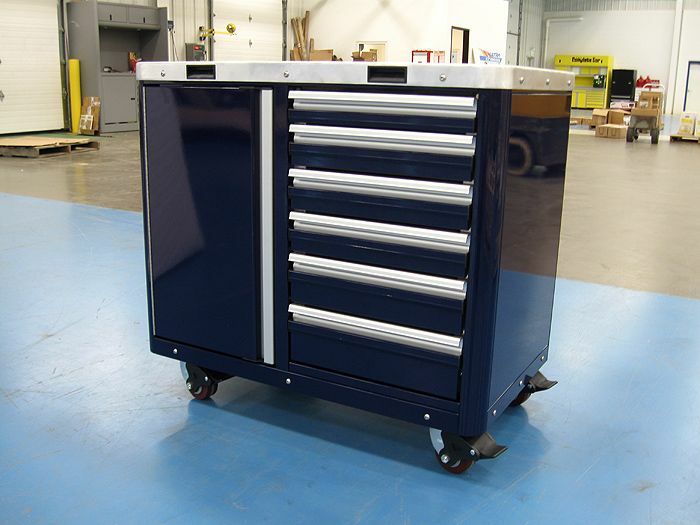 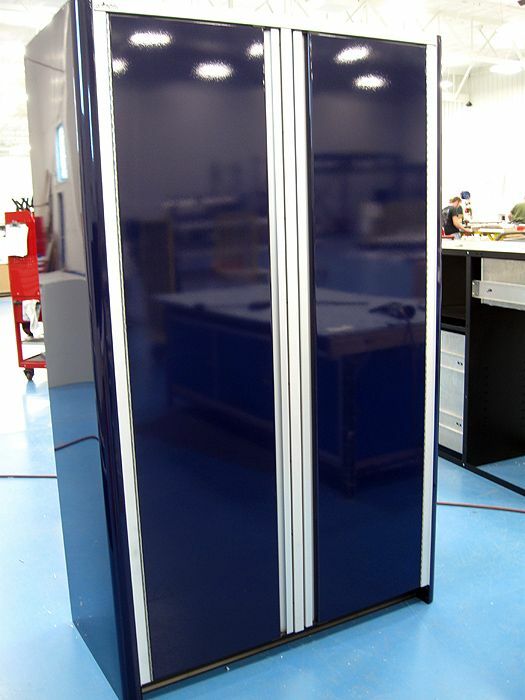 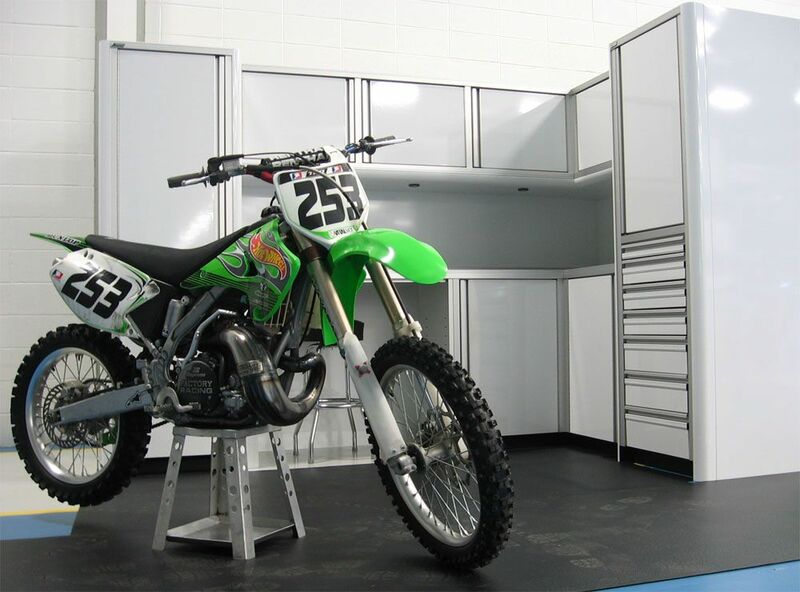 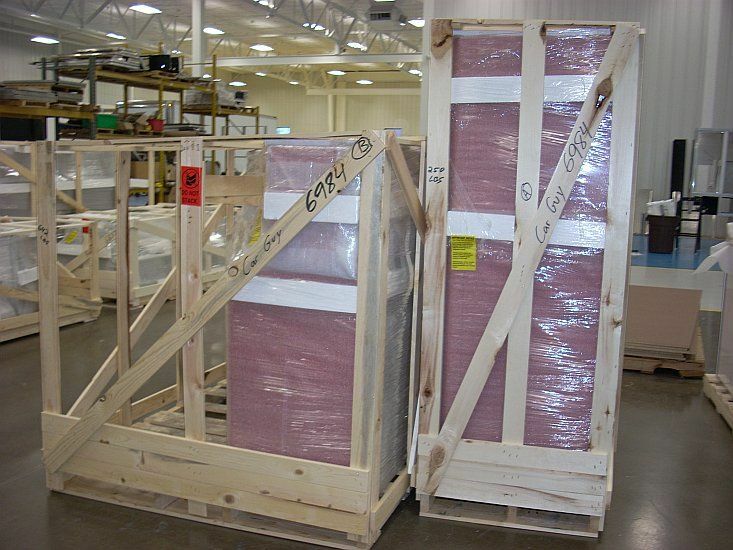 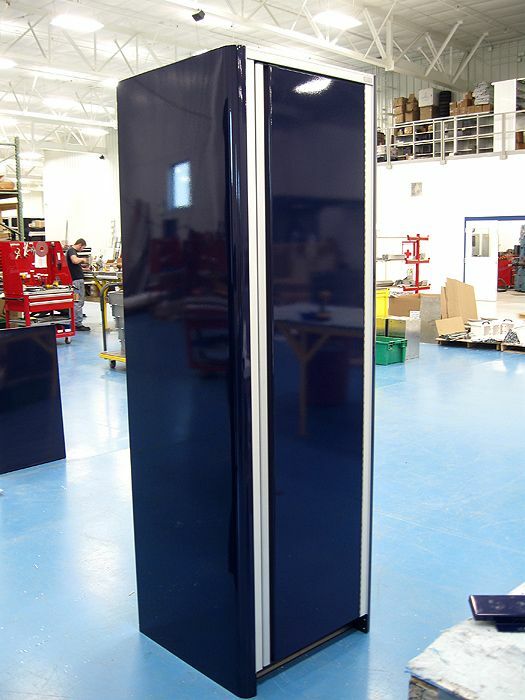 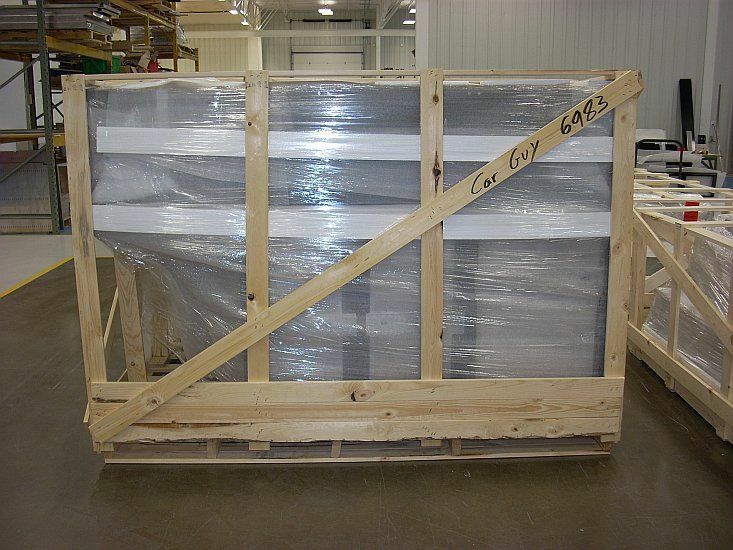 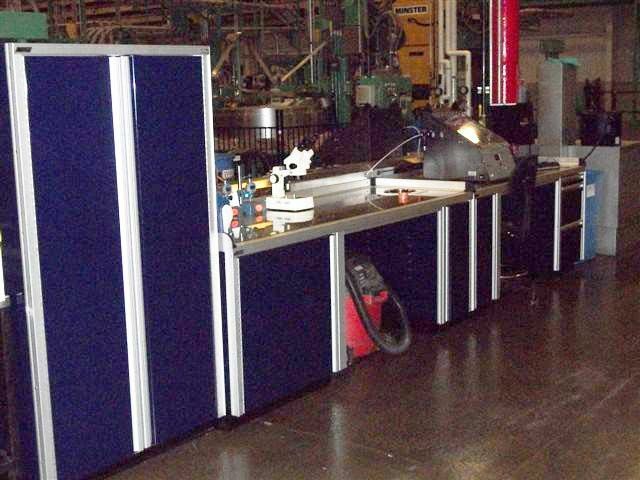 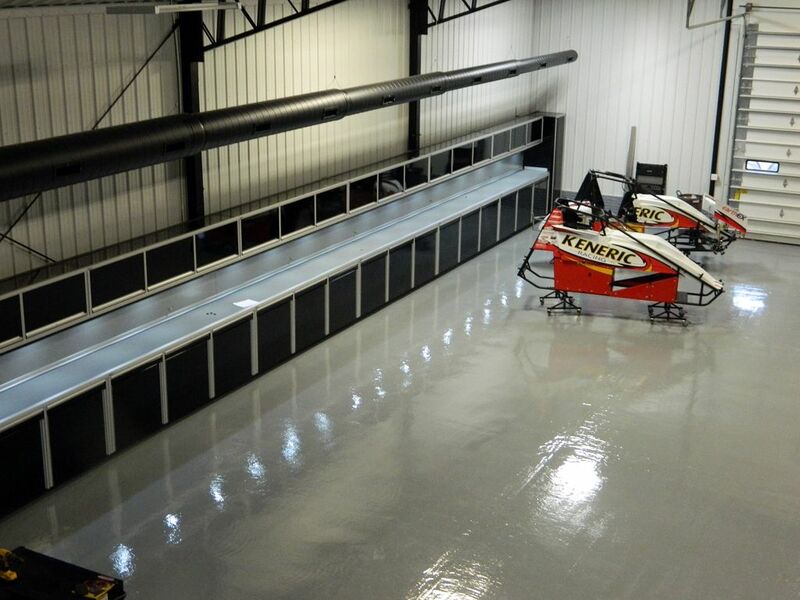 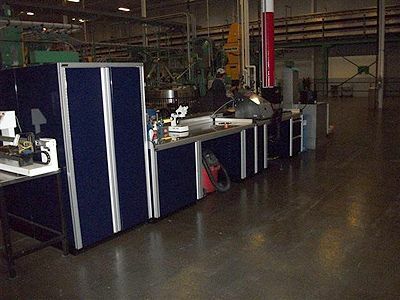 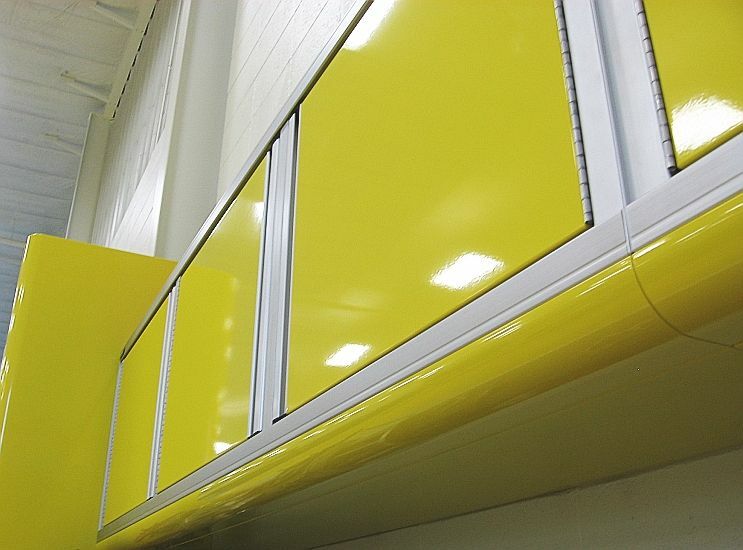 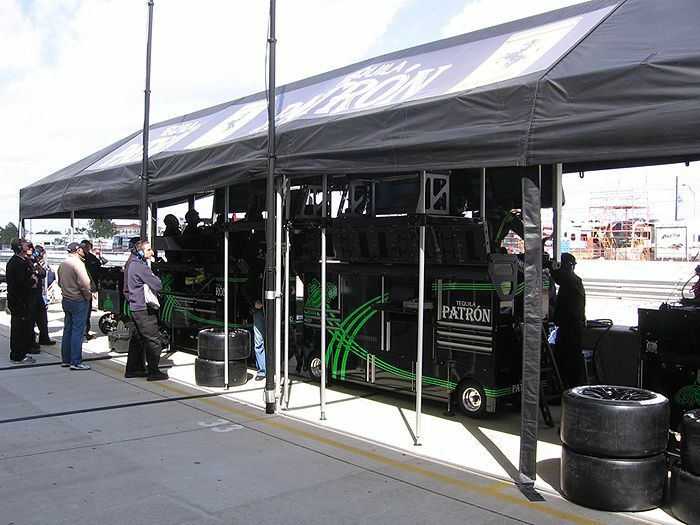 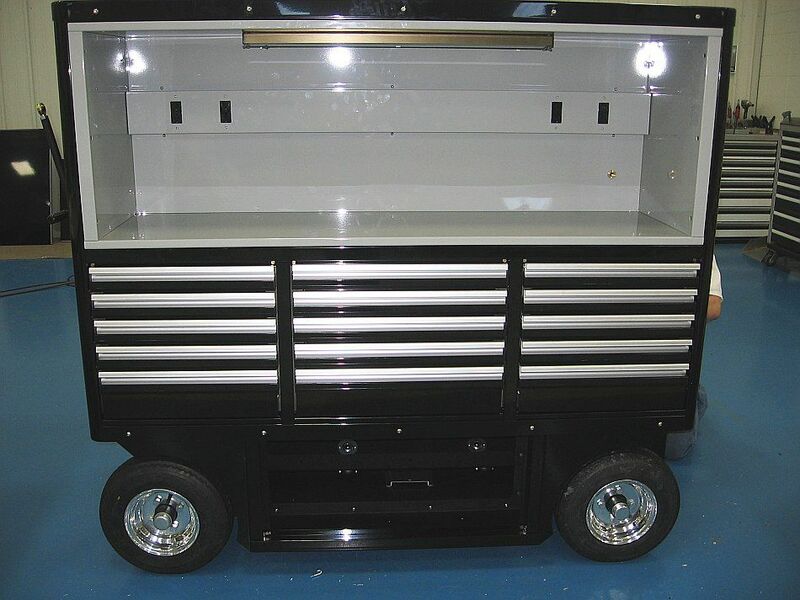 This 16 Foot Wide Aluminum Cabinet Race Package features a full all aluminum two door base cabinet with integrated 3-1/2 inch toe kick, trimmed center opening, and back. 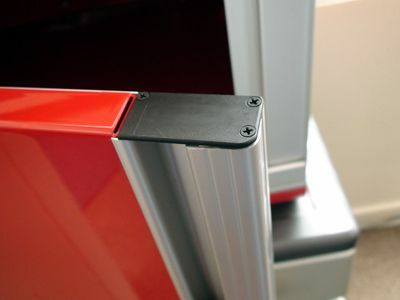 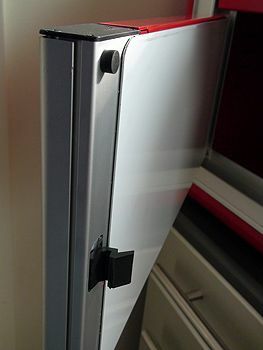 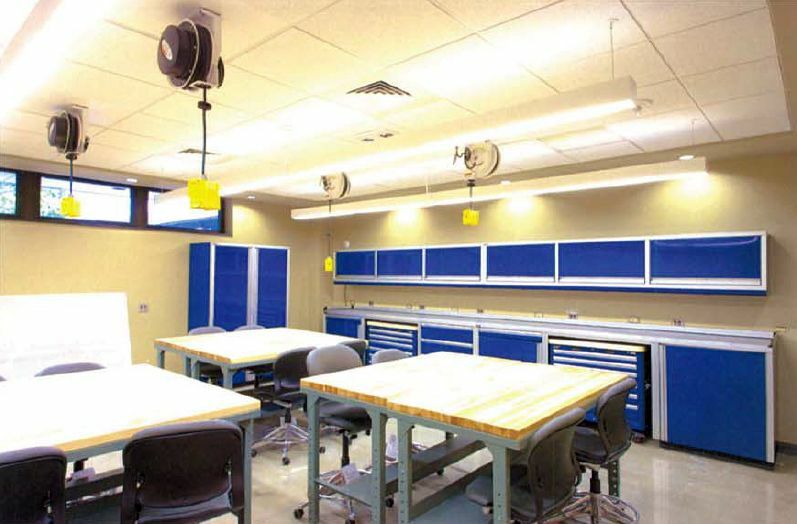 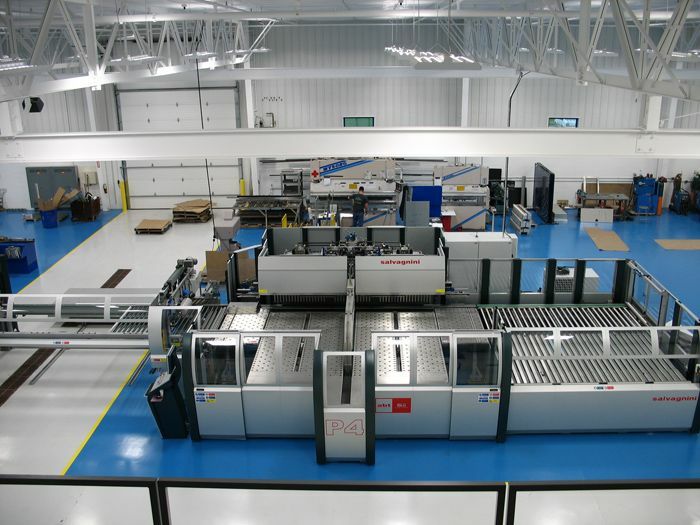 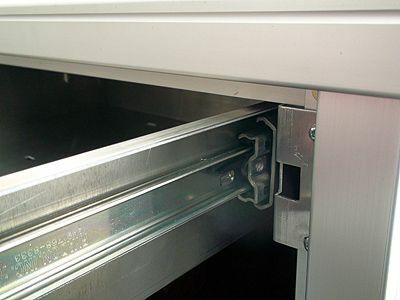 Doors featuring motionlatch door handles, bonded door backs, and one adjustable shelf per door. 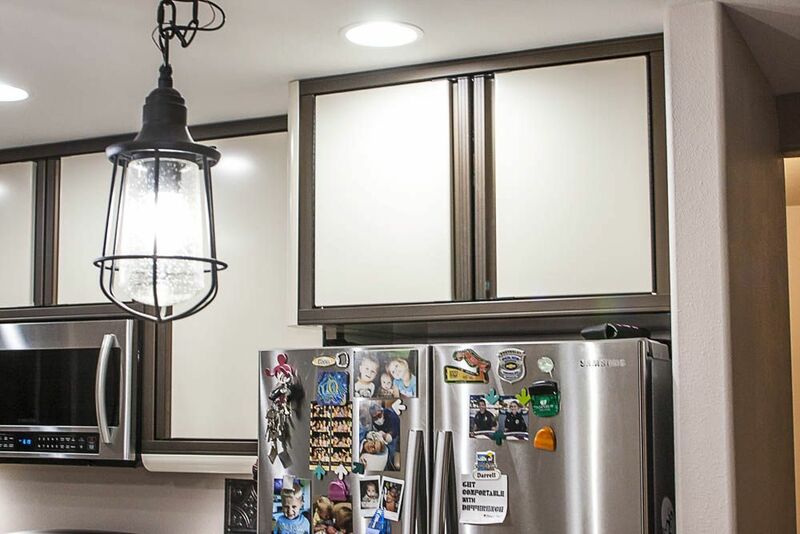 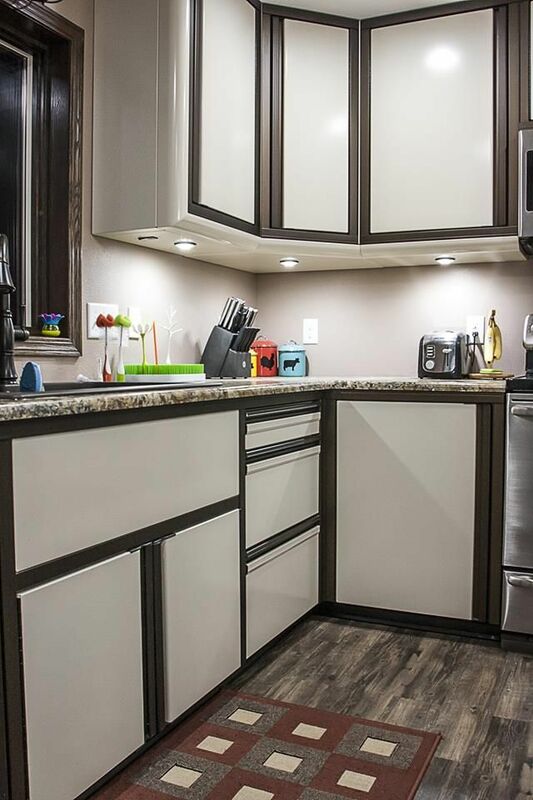 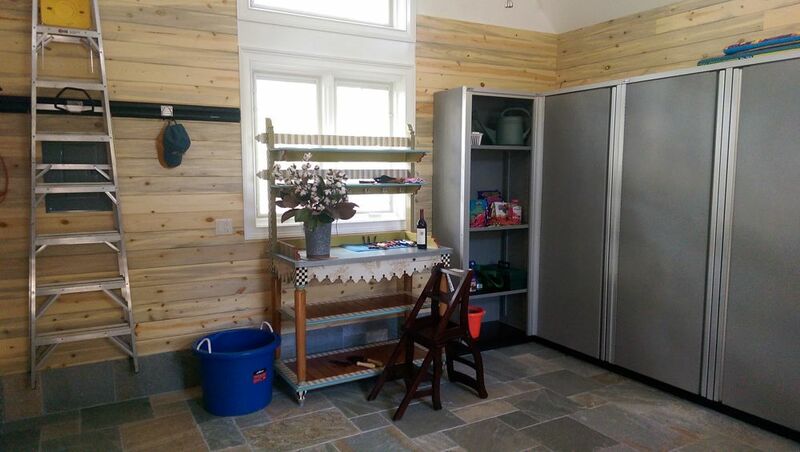 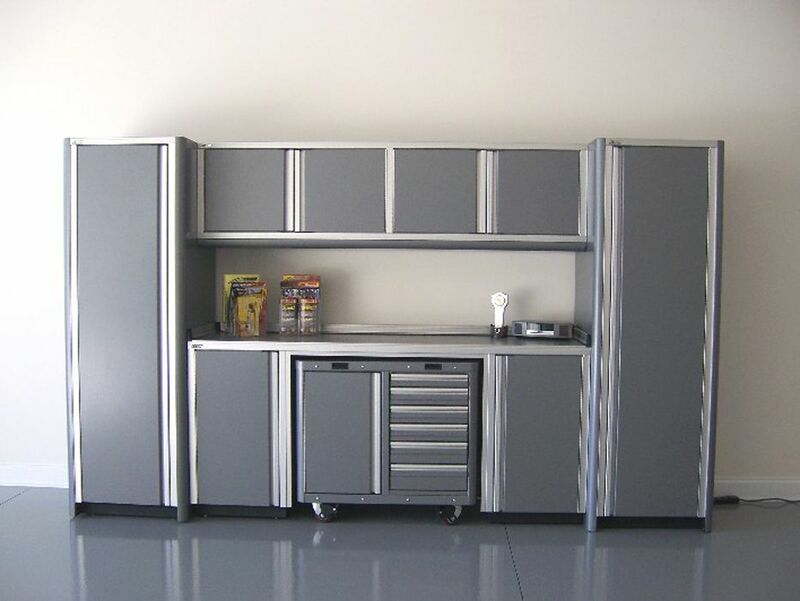 Wall is an aluminum four door cabinet featuring side swing doors with motionlatch door handles, bonded door backs, one adjustable shelf per door, and a back, and top. 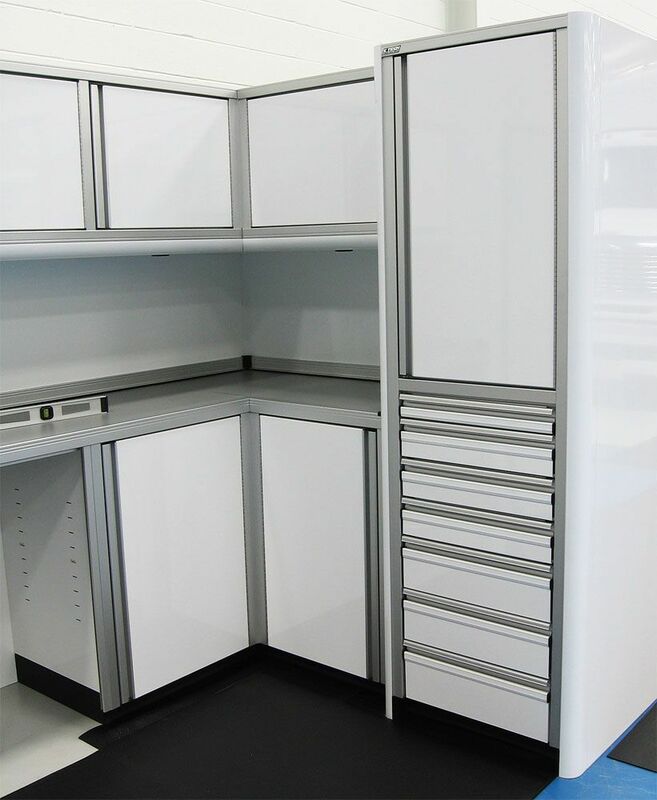 Two aluminum double door closets with the integrated toe kicks featuring motionlatch door handles, bonded door backs, cabinet back, top, six adjustable shelves, and one hanger bar. 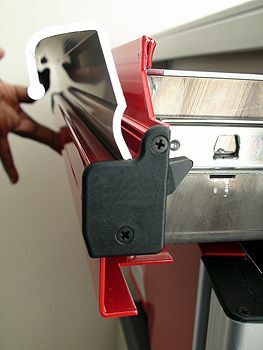 Caster Cart fits snugly into the trimmed opening. 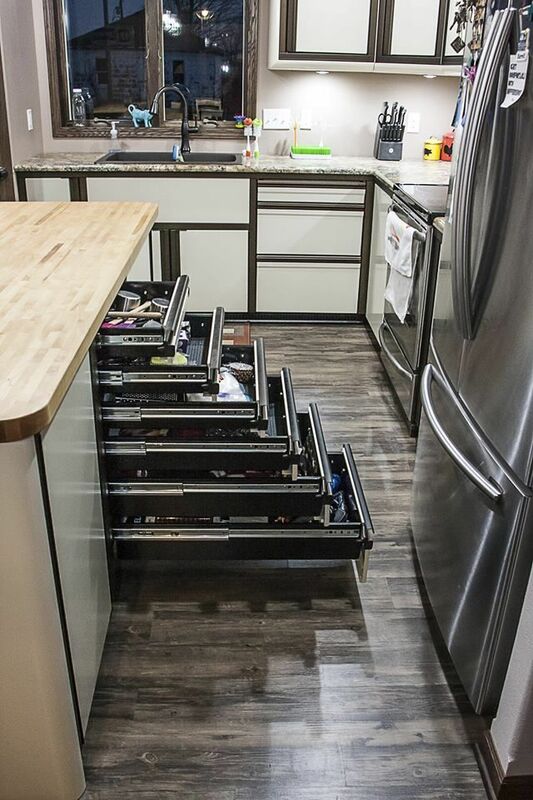 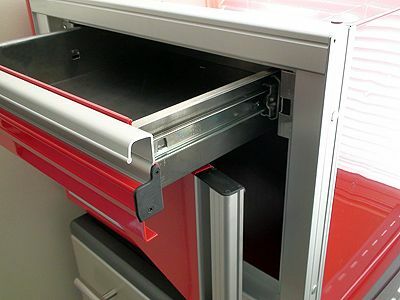 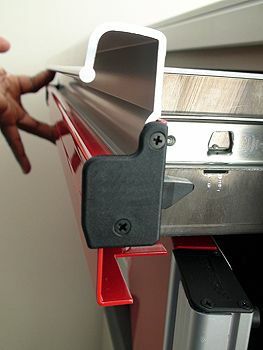 Cart features six motionlatch drawers (1-3", 3-4", 1-5", 1-6") and one trigger latch door with motionlatch door handles, bonded door backs, and one adjustable shelf. 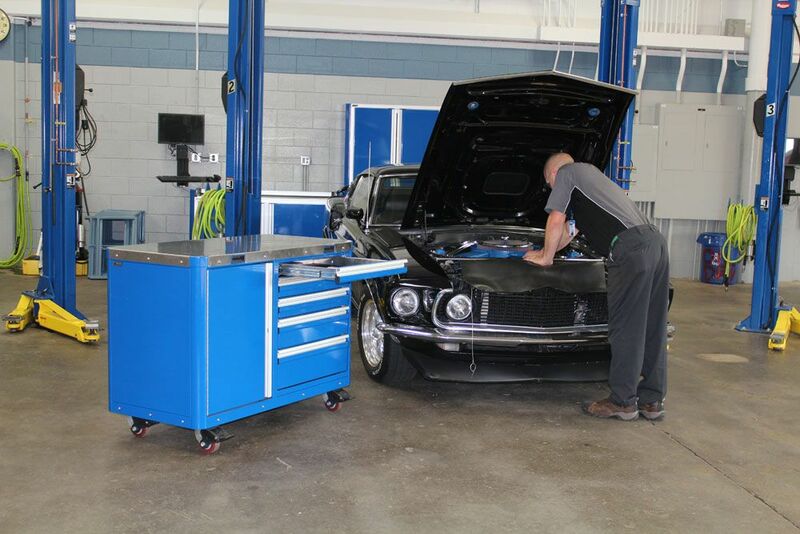 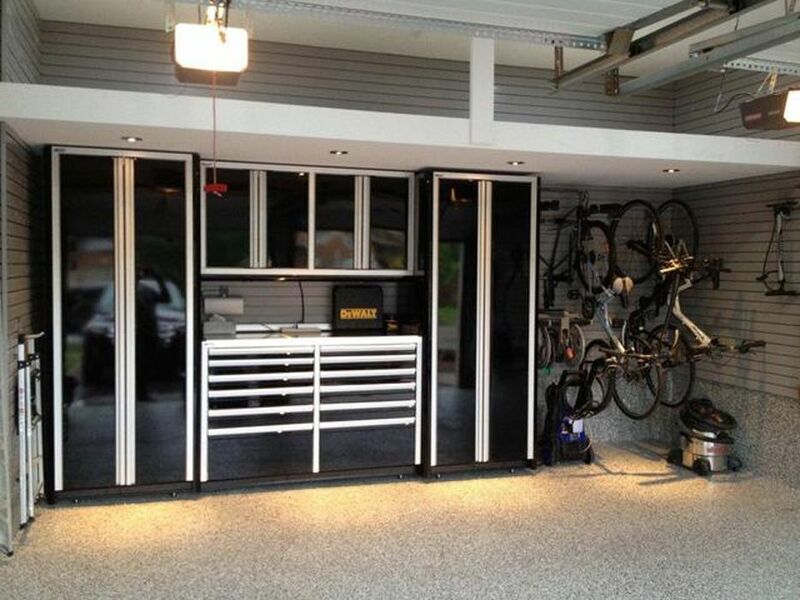 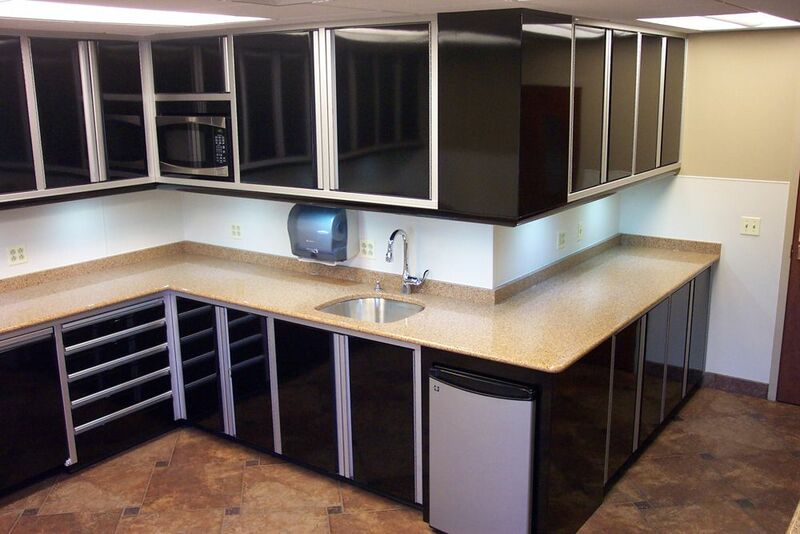 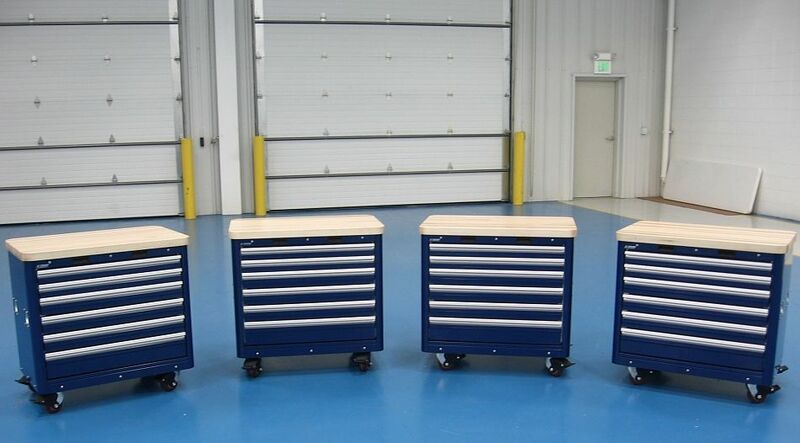 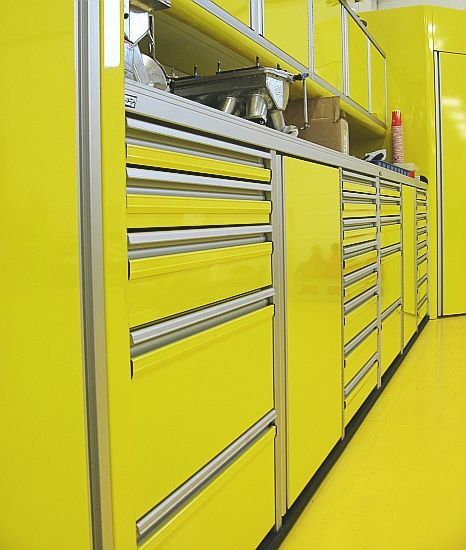 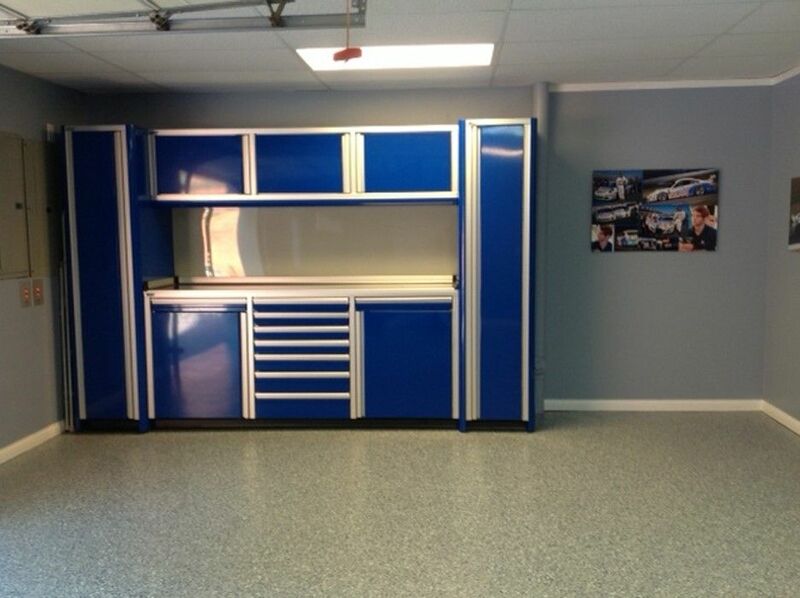 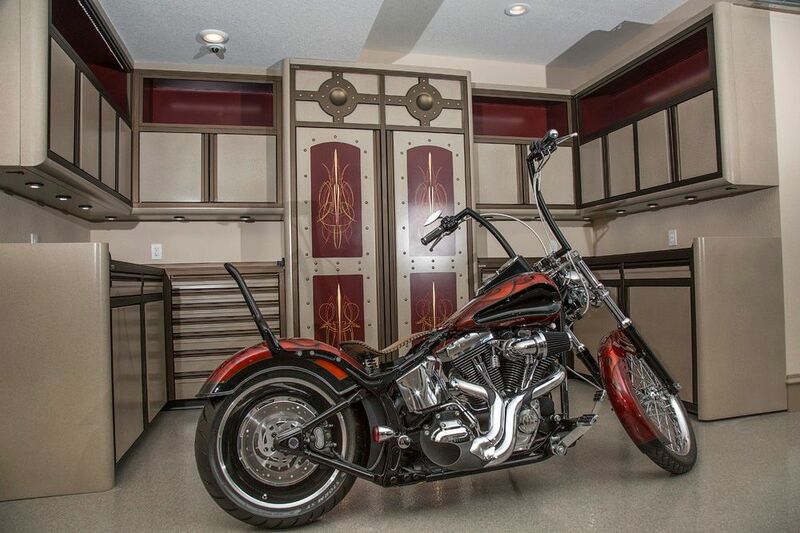 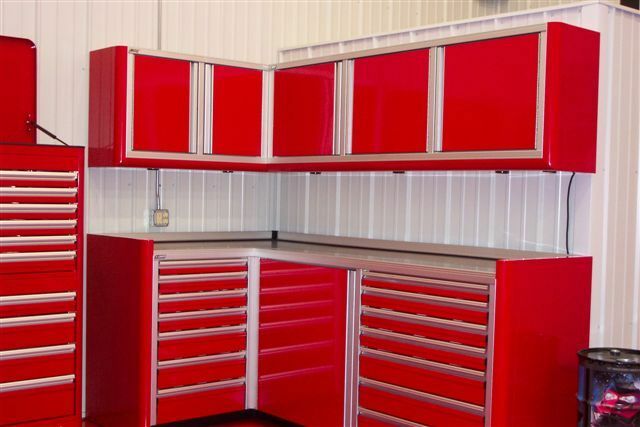 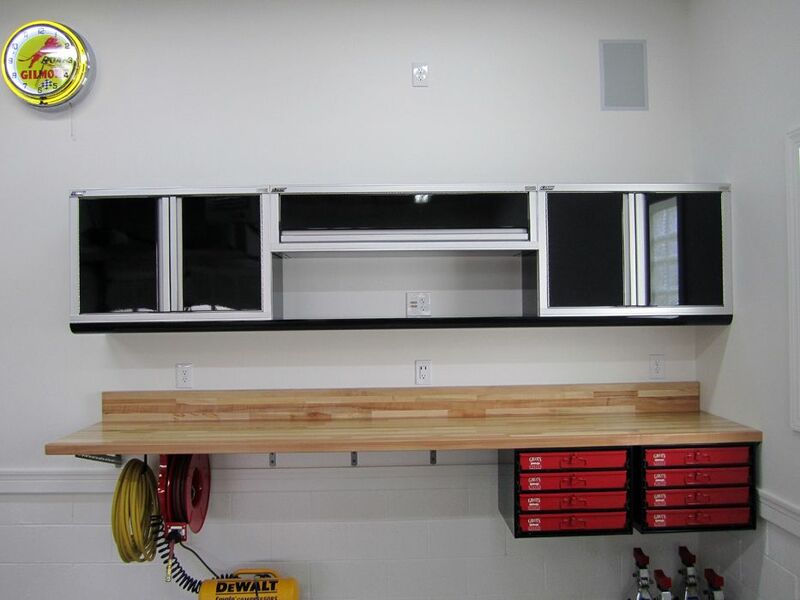 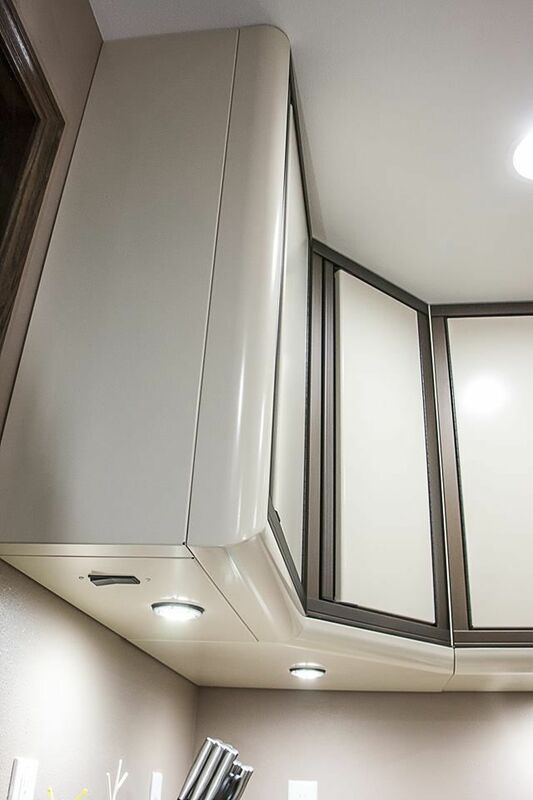 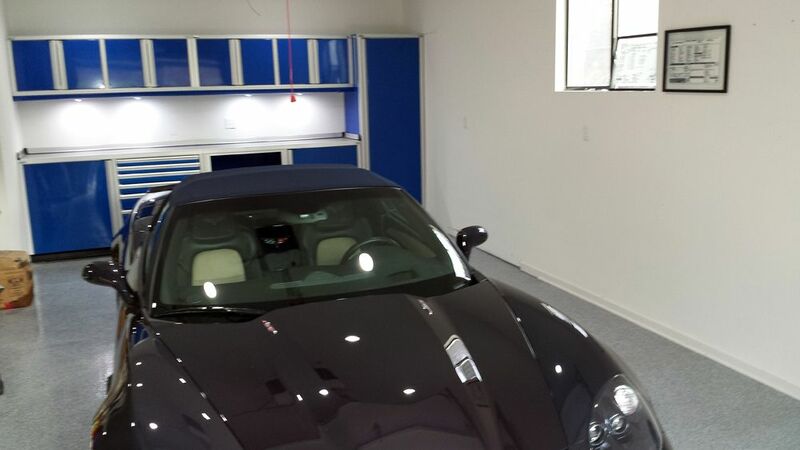 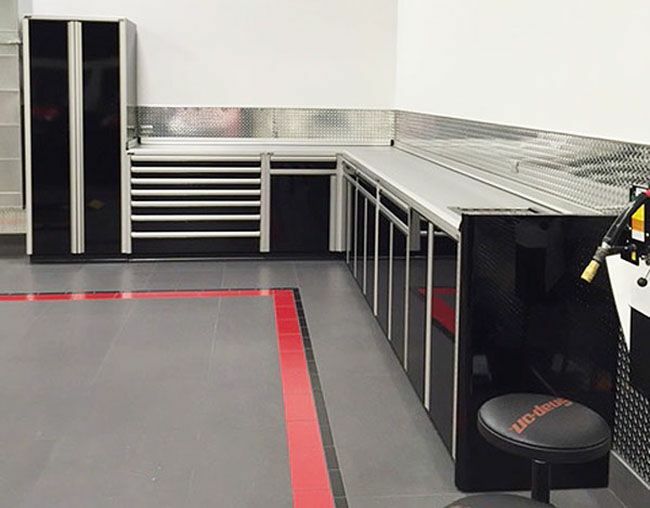 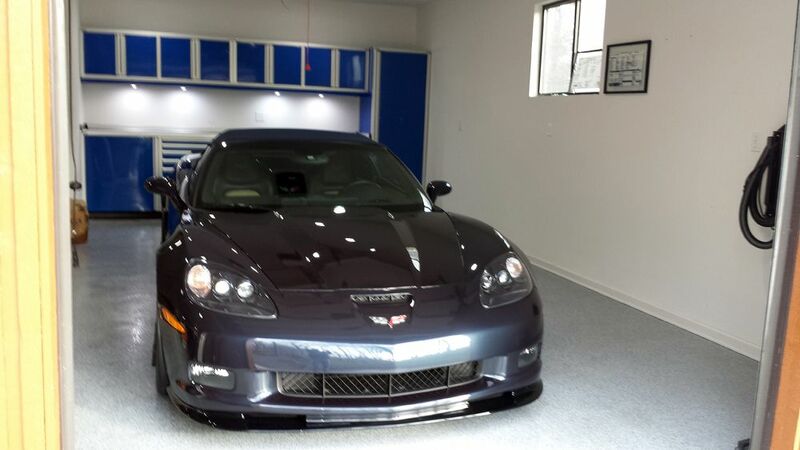 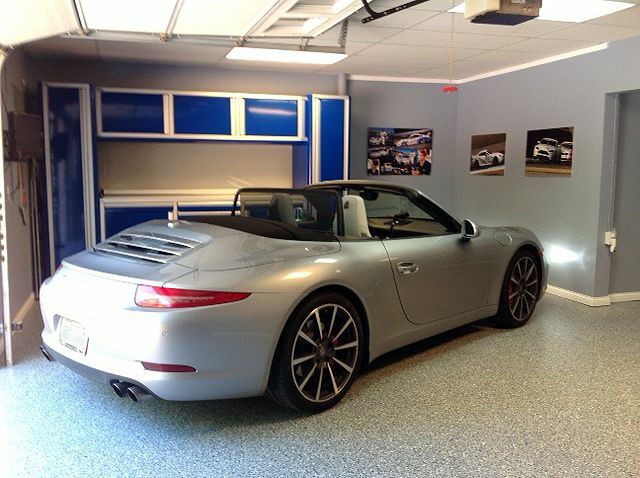 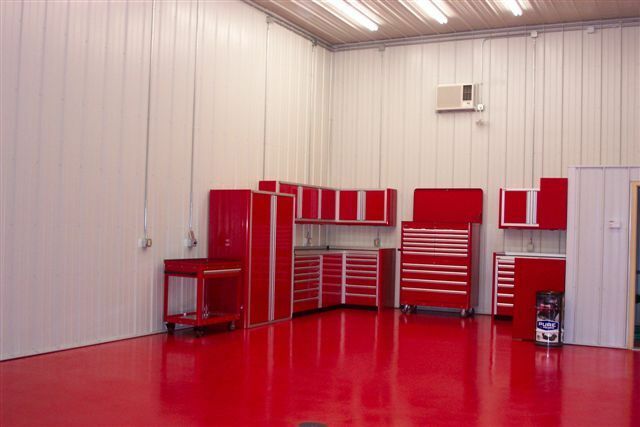 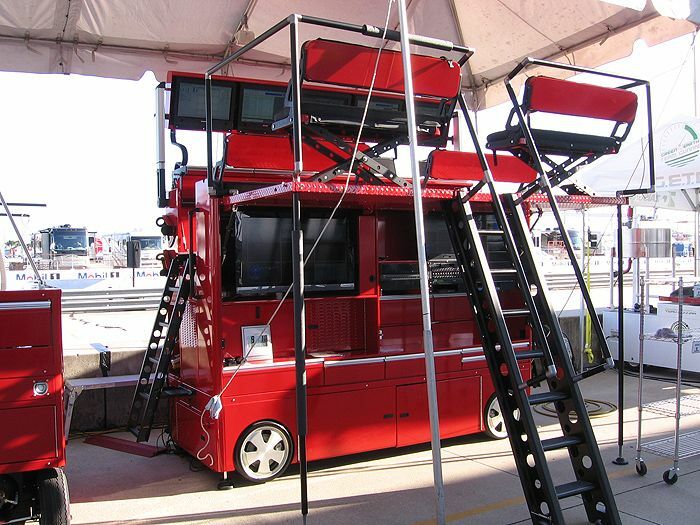 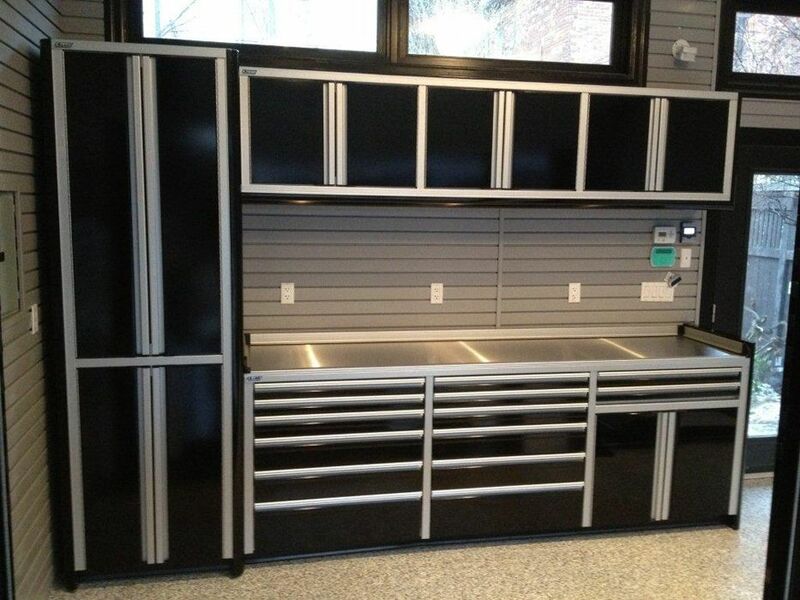 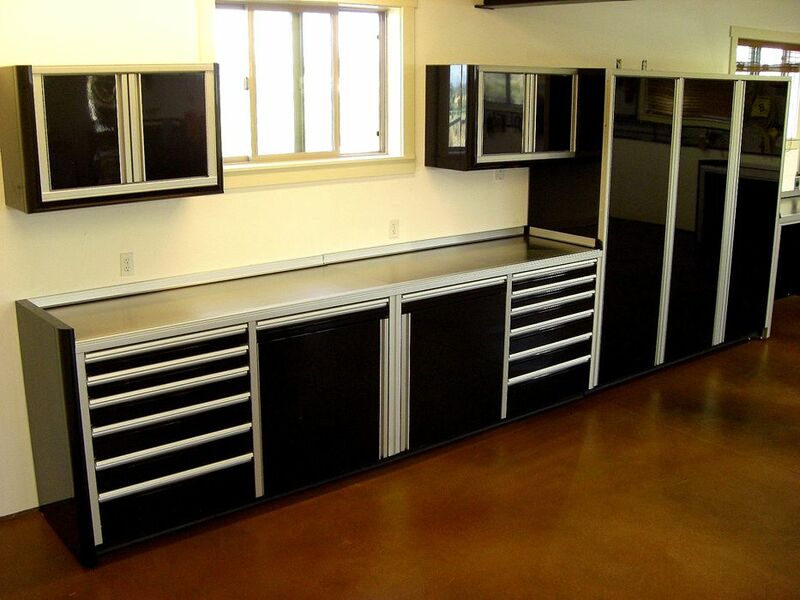 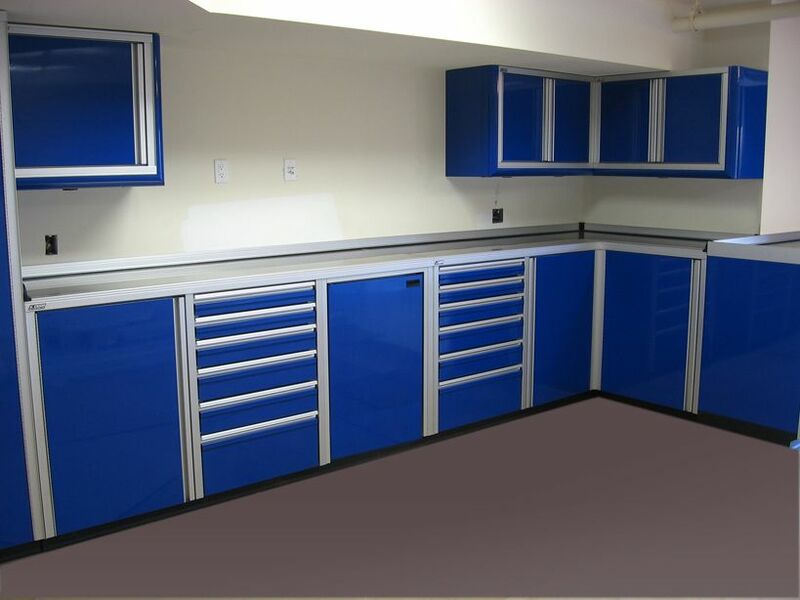 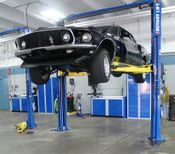 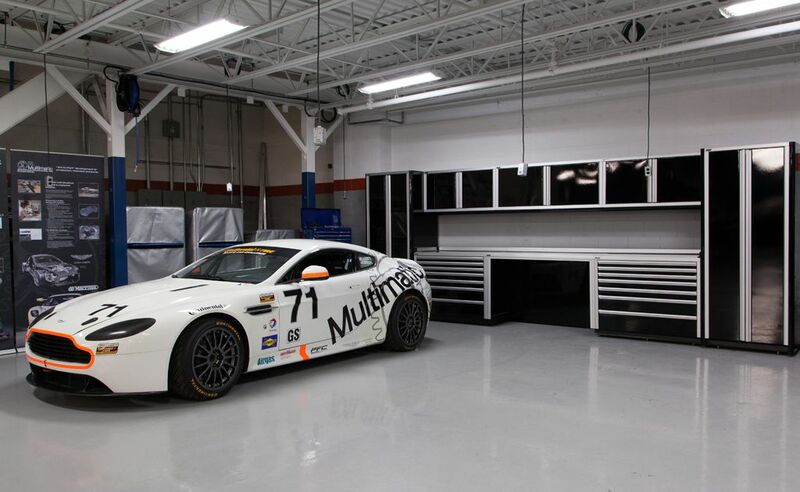 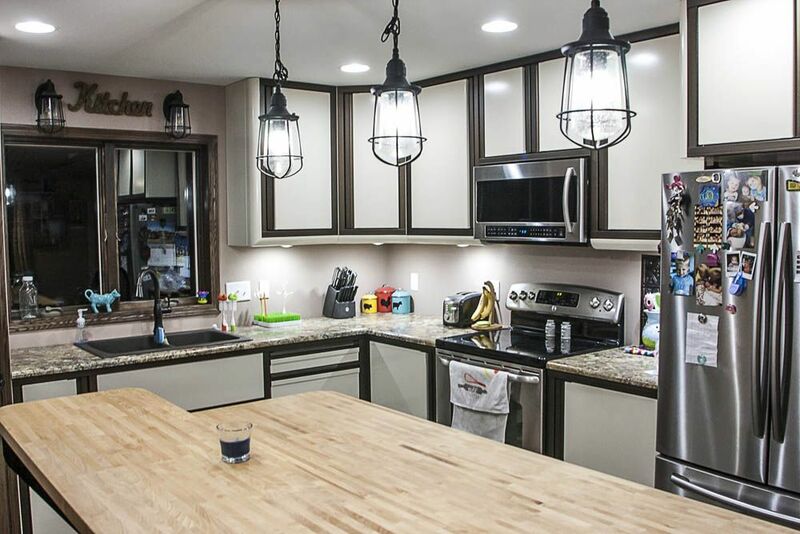 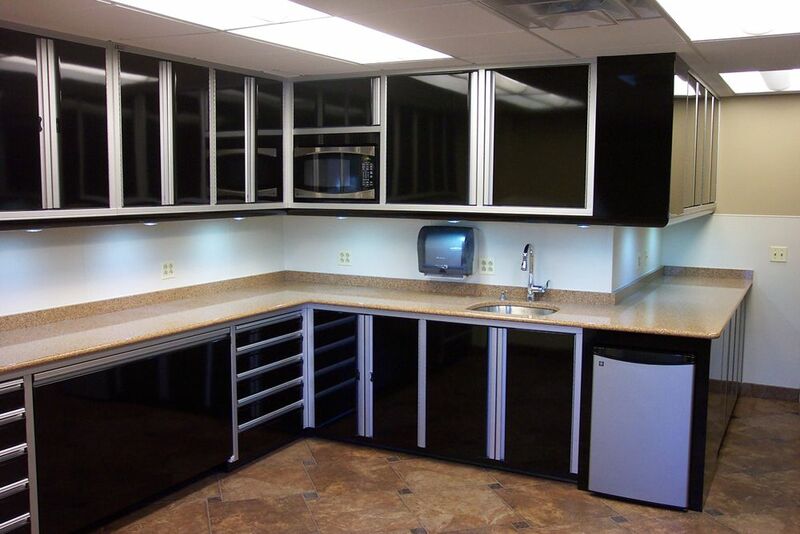 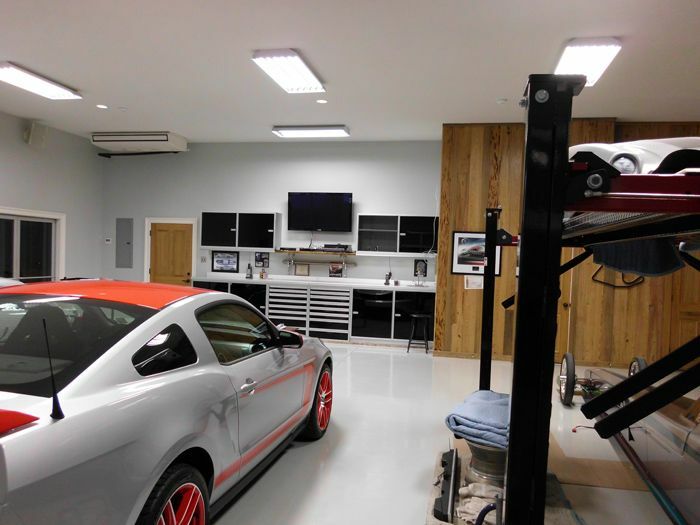 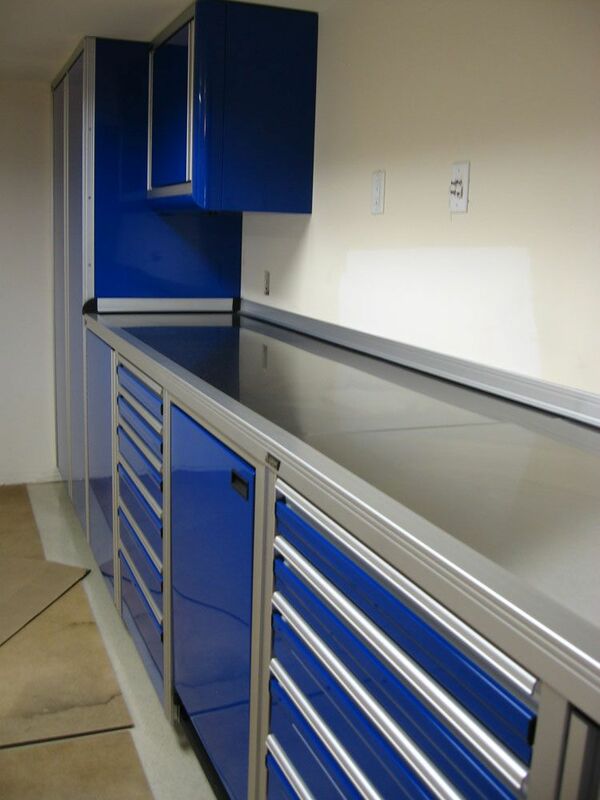 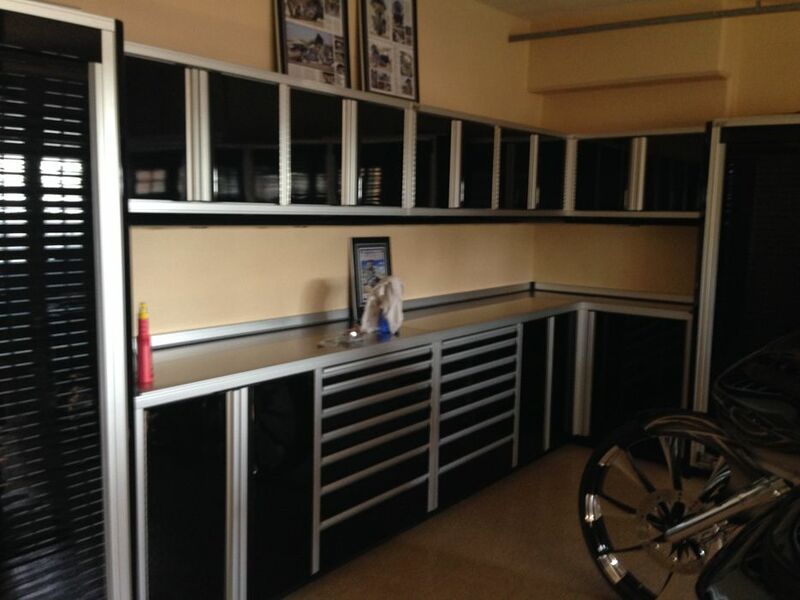 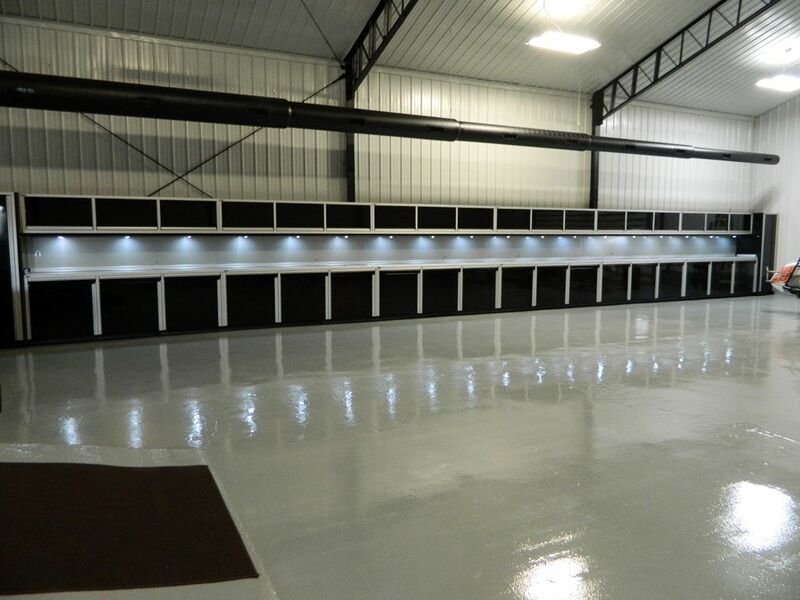 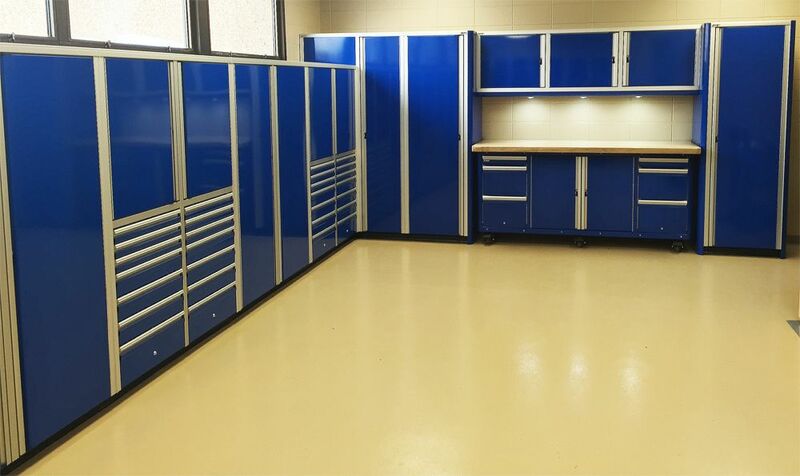 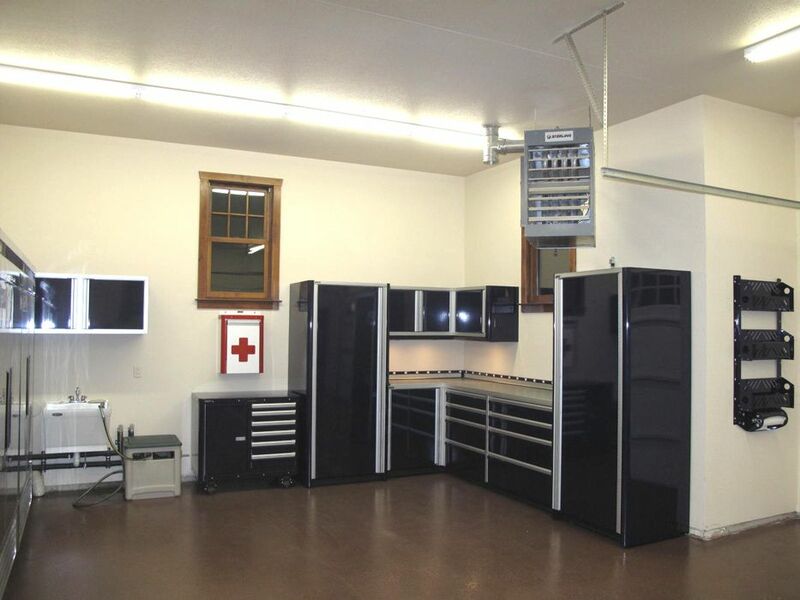 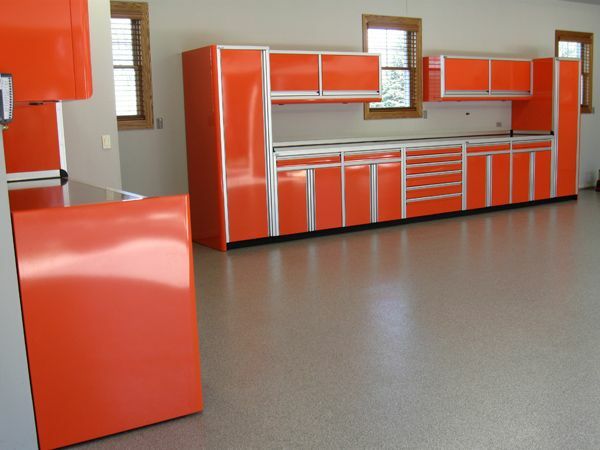 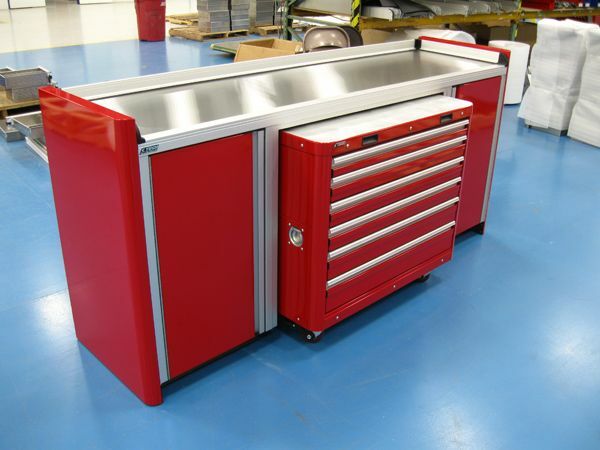 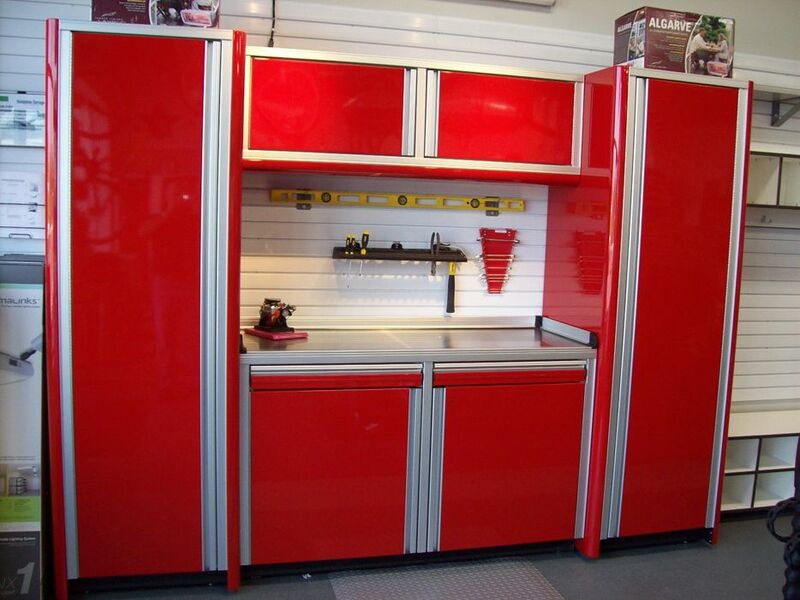 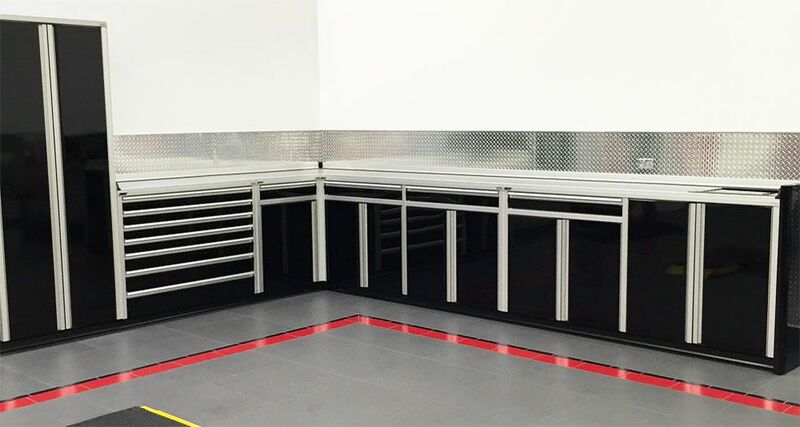 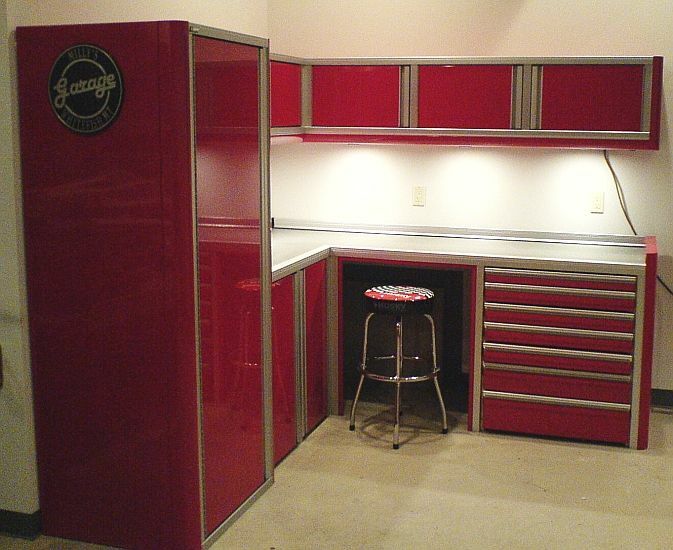 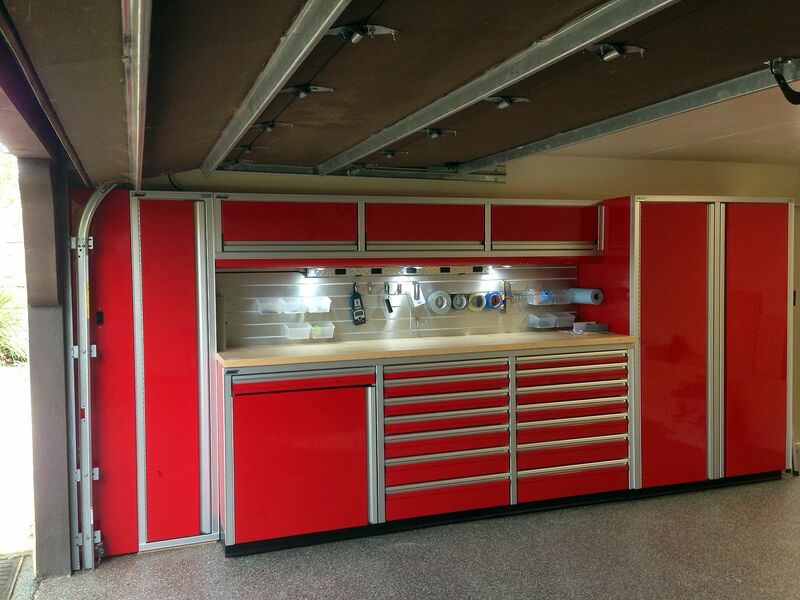 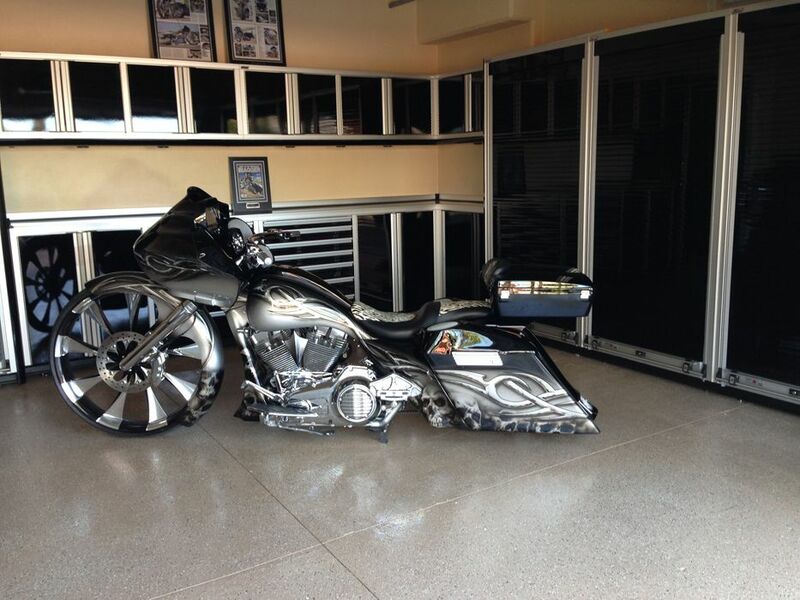 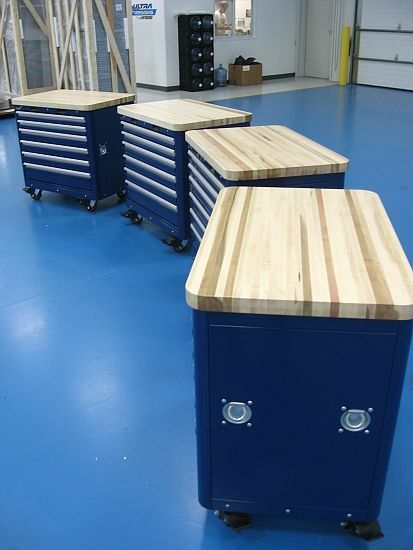 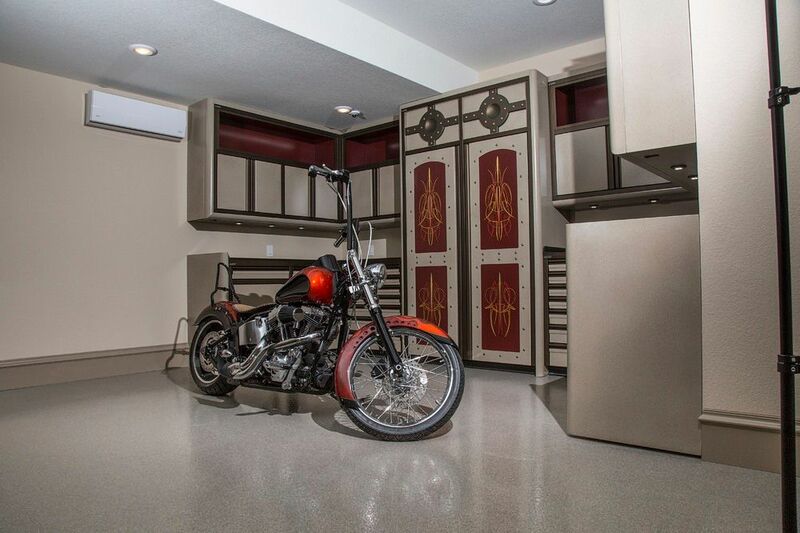 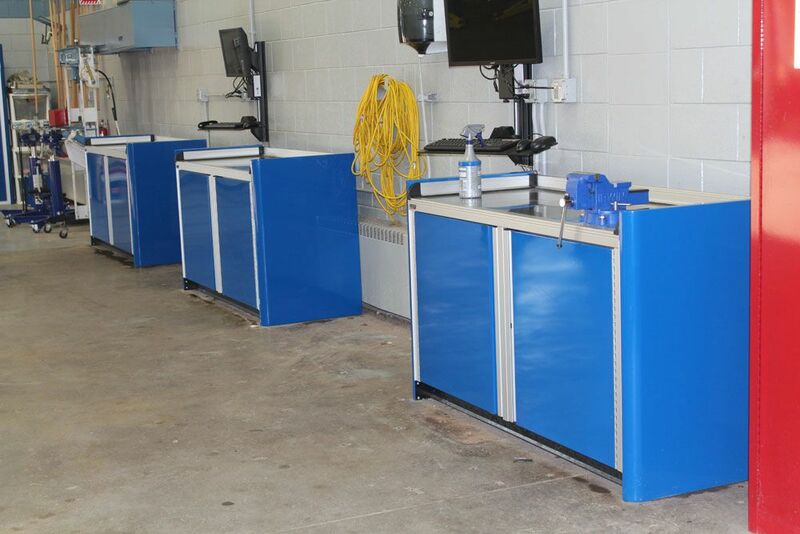 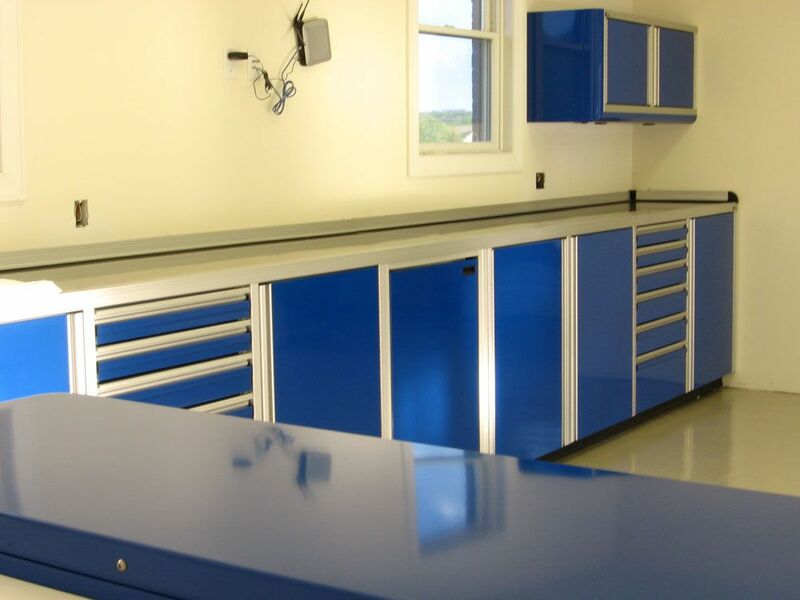 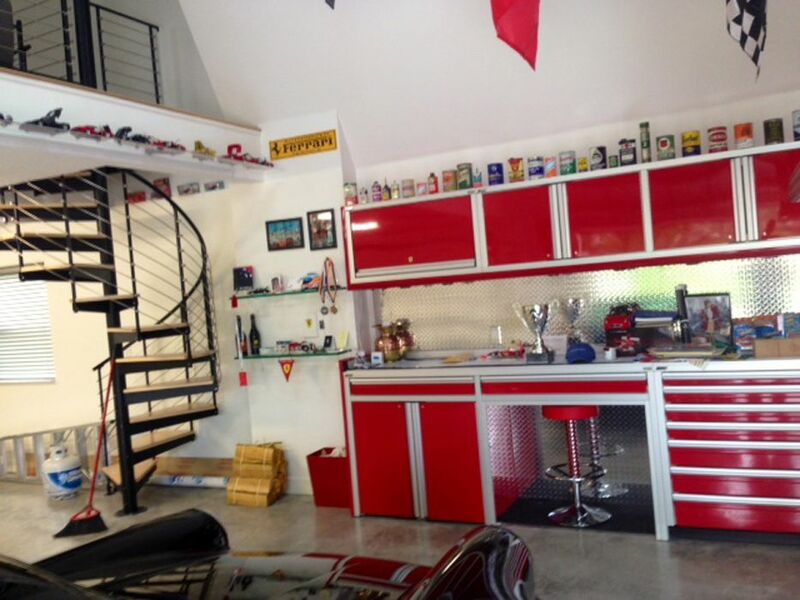 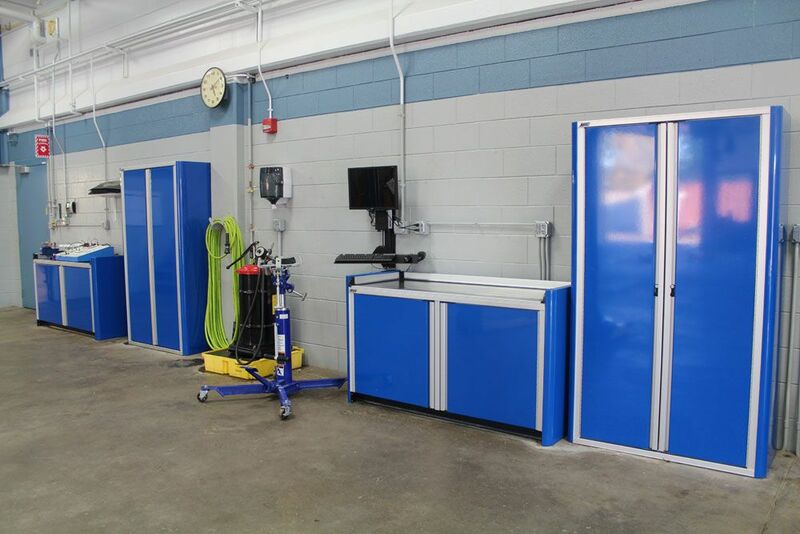 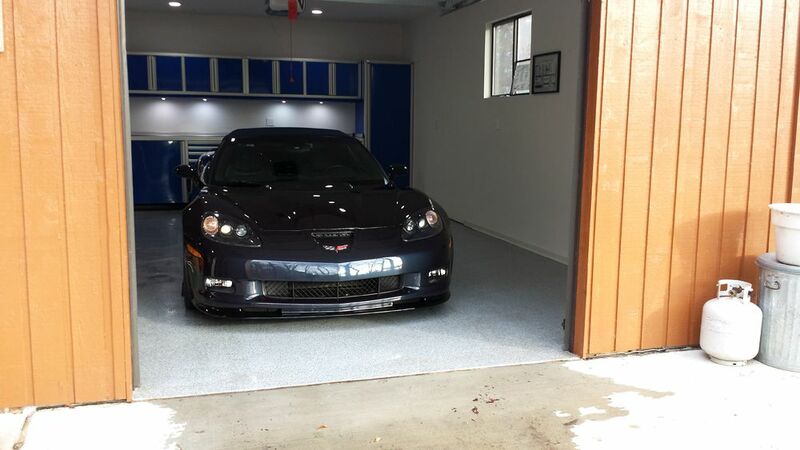 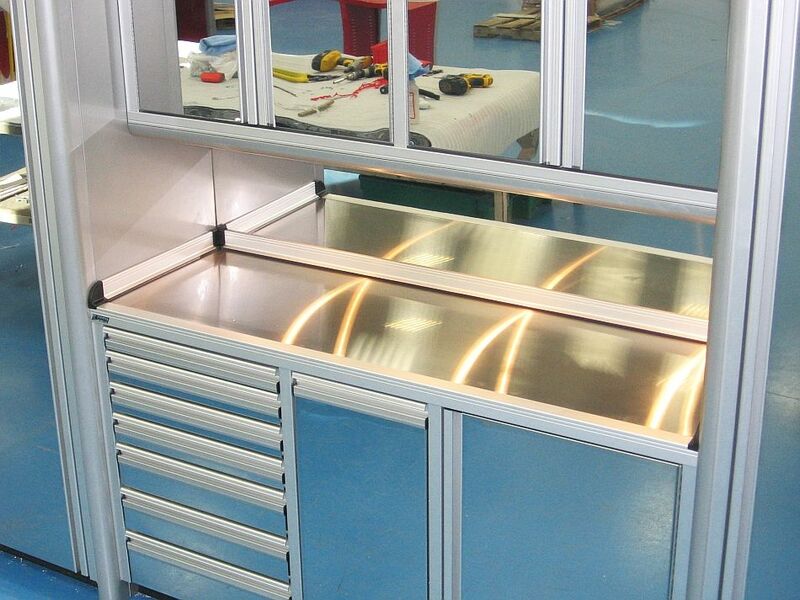 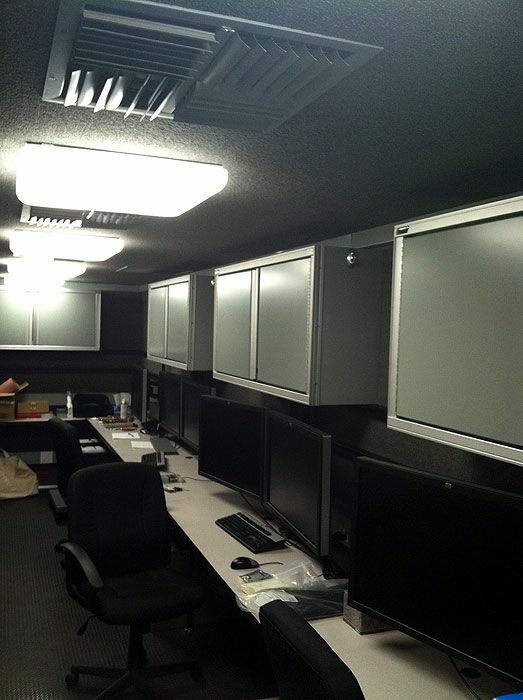 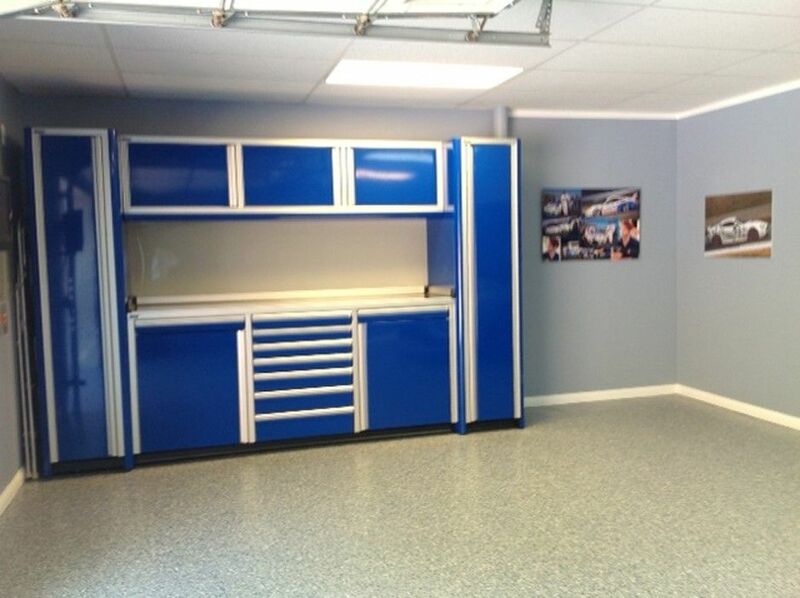 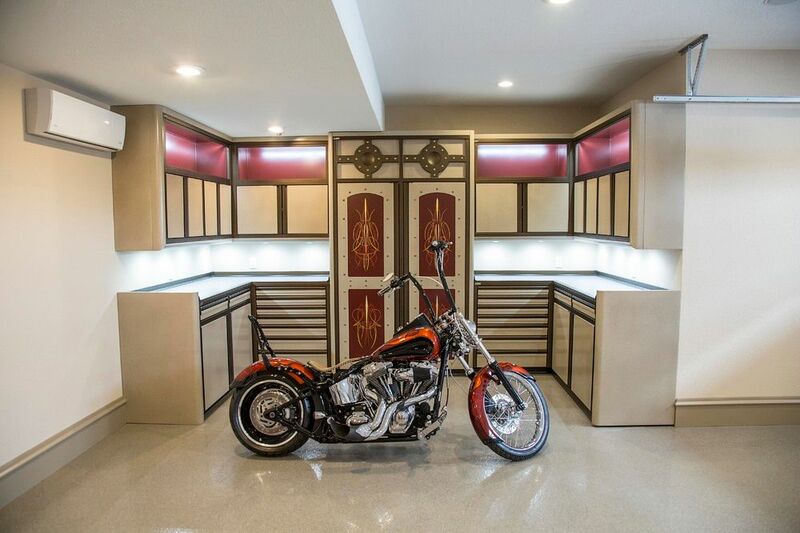 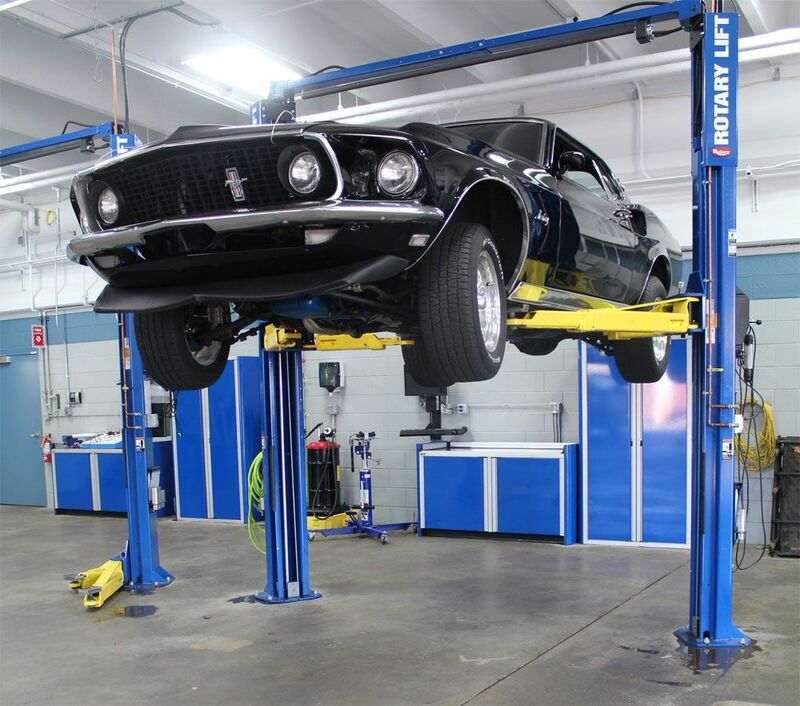 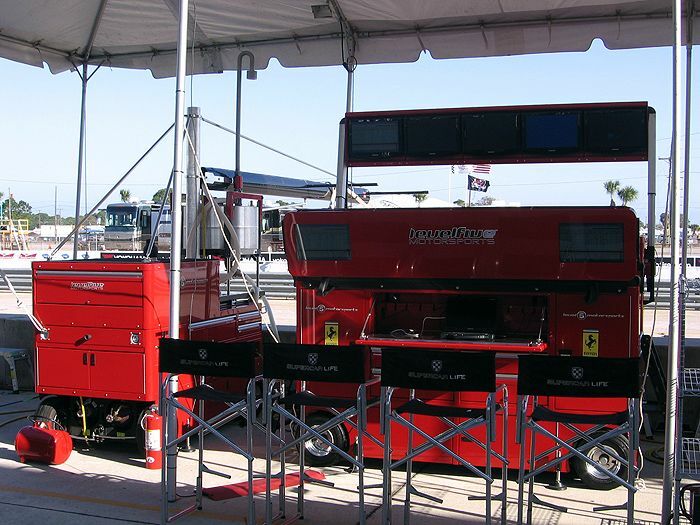 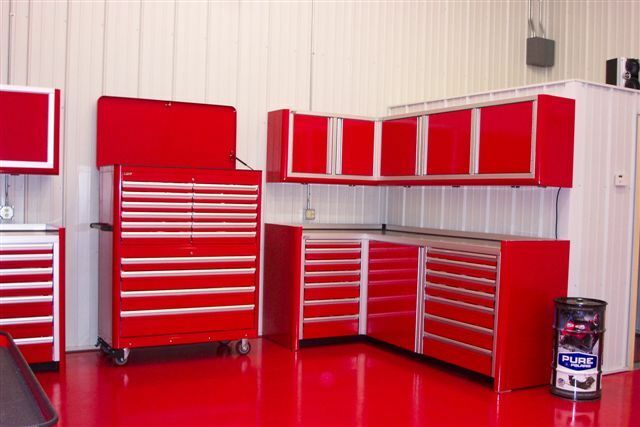 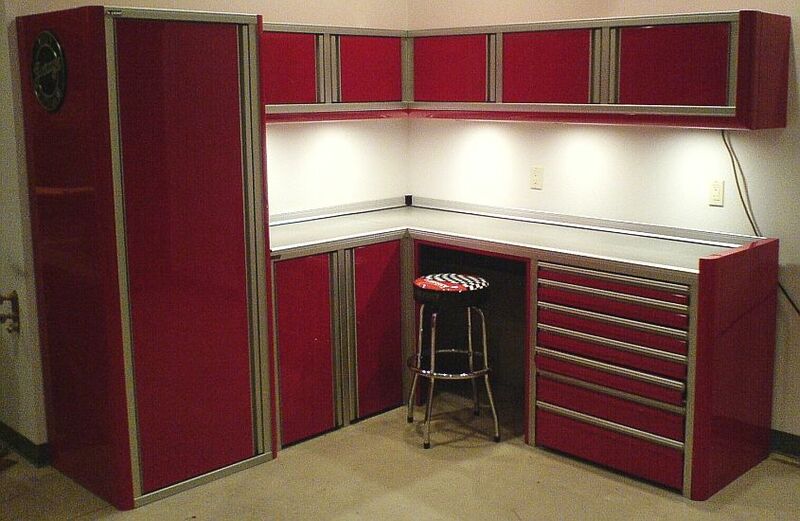 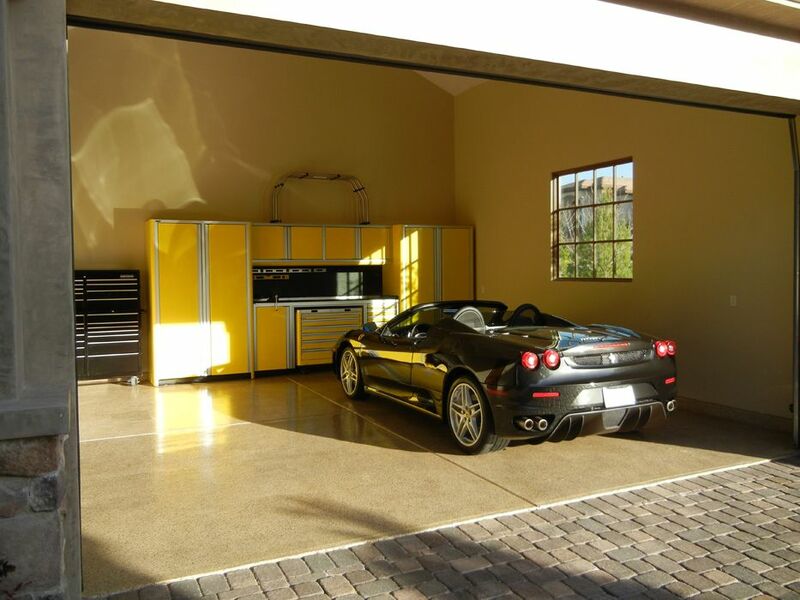 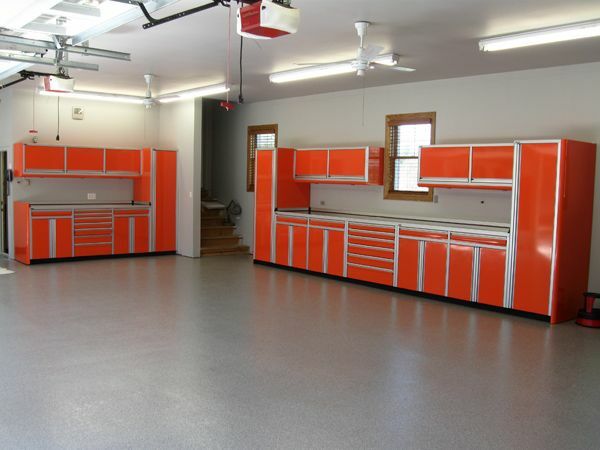 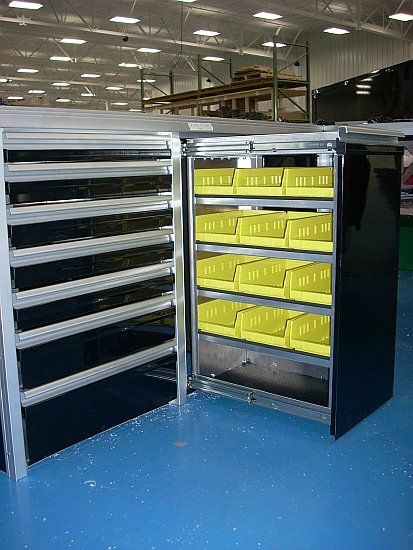 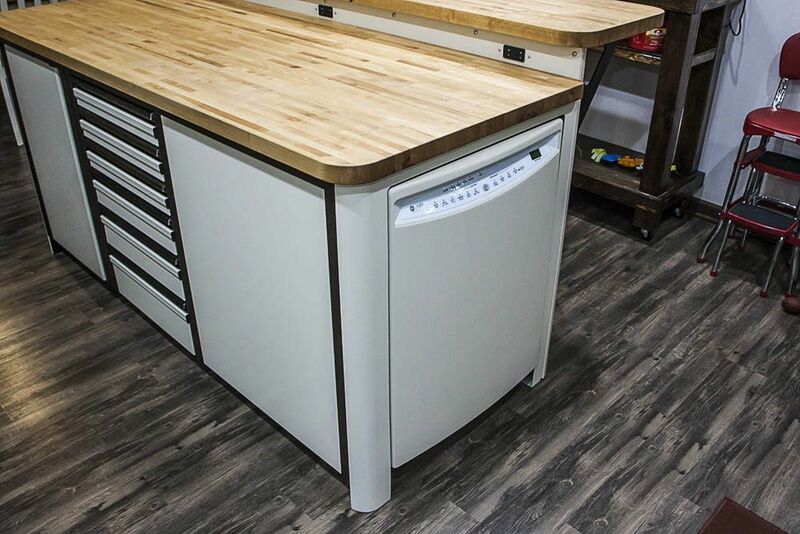 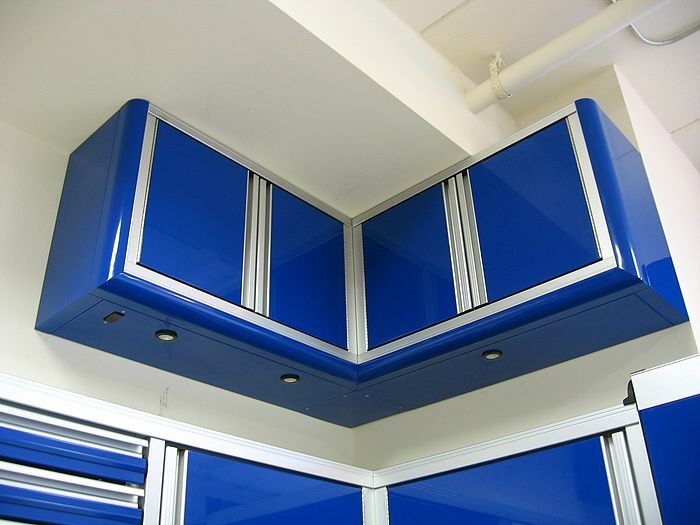 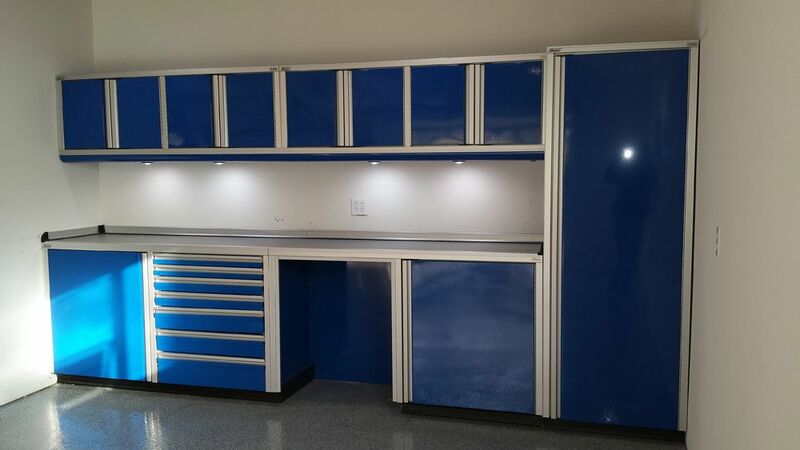 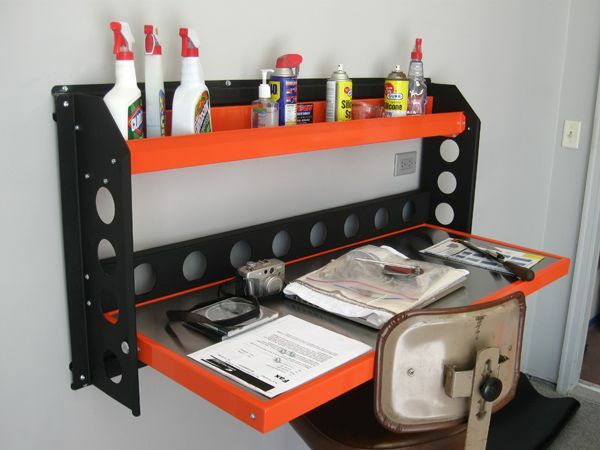 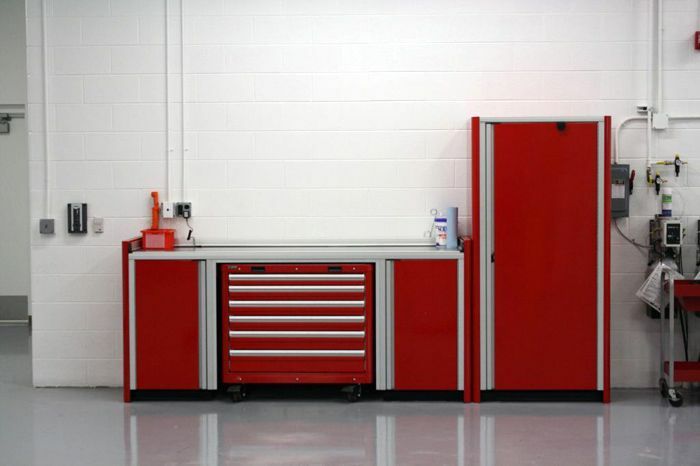 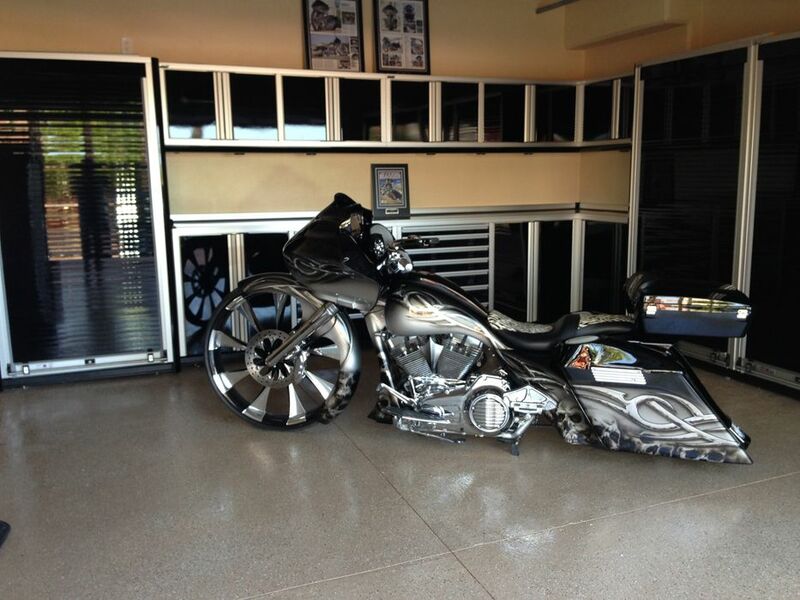 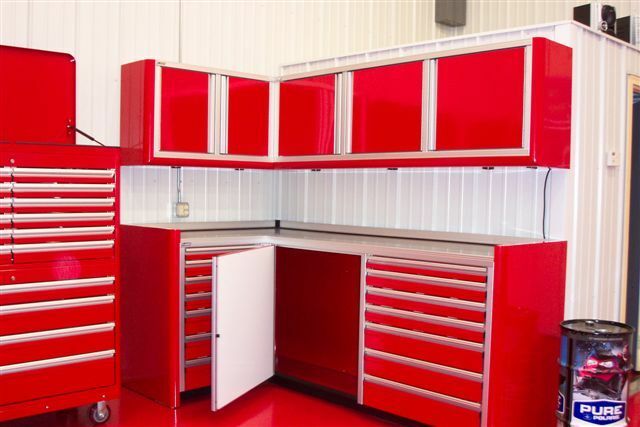 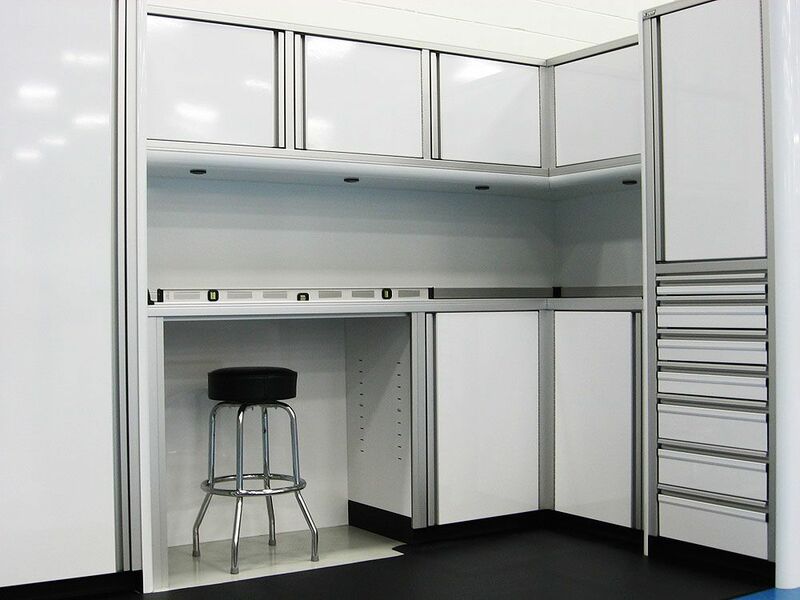 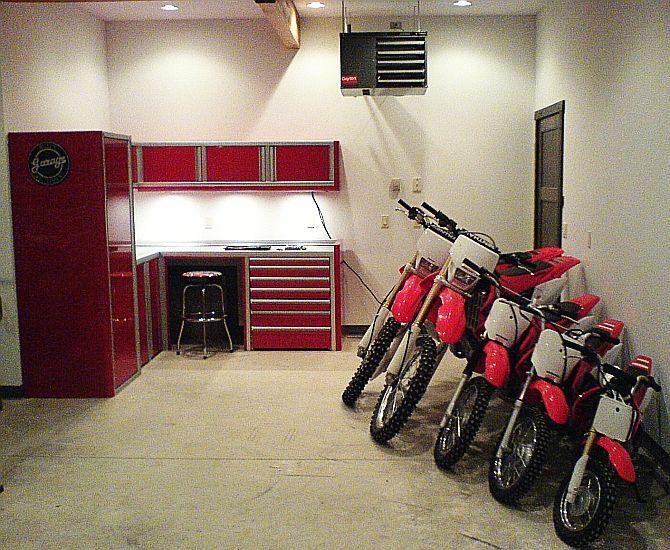 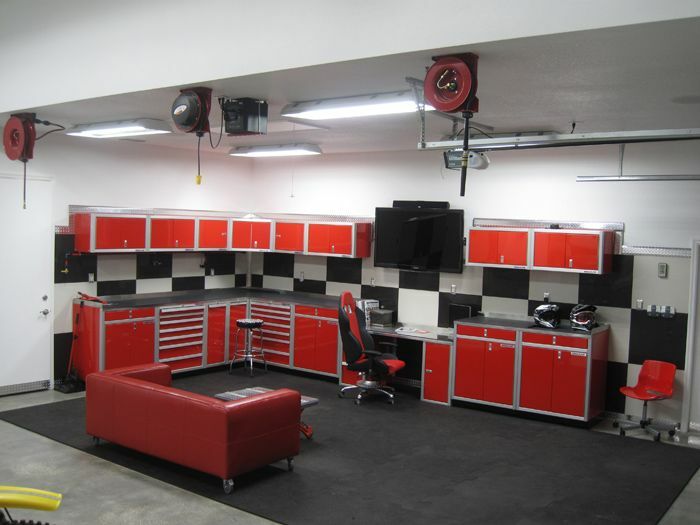 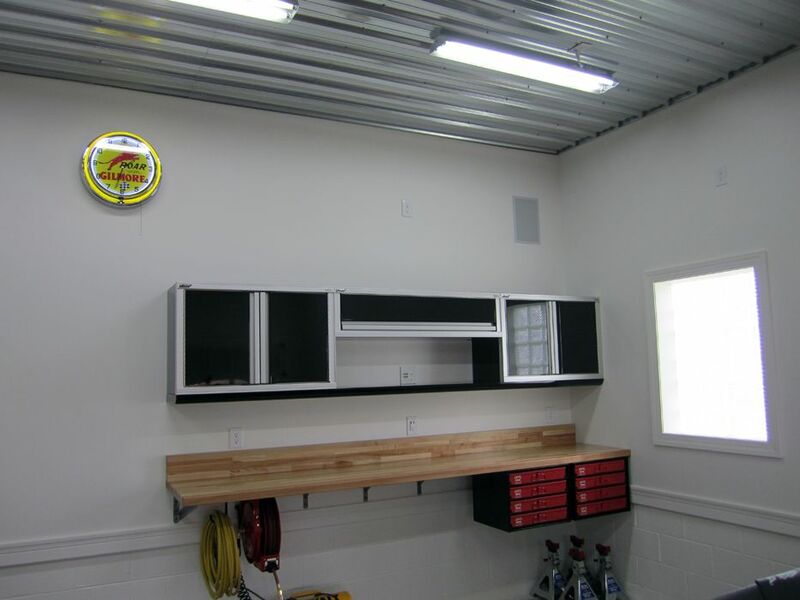 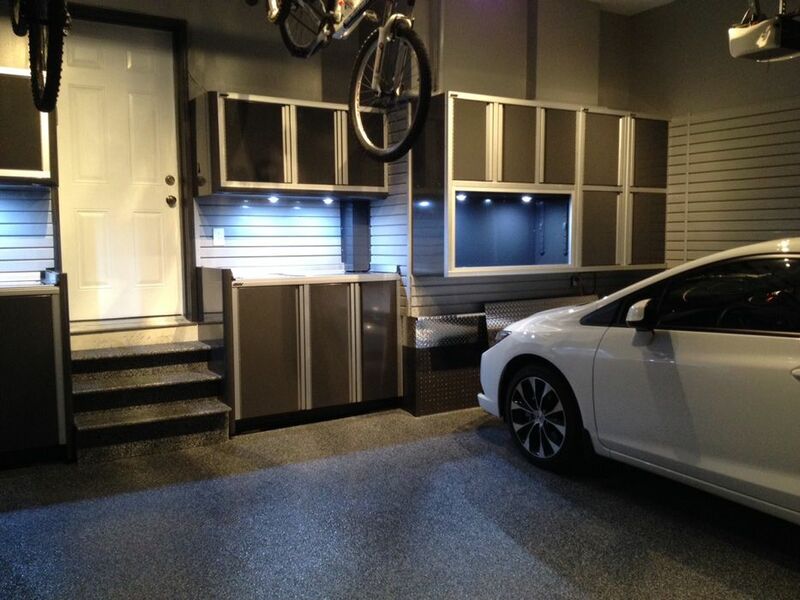 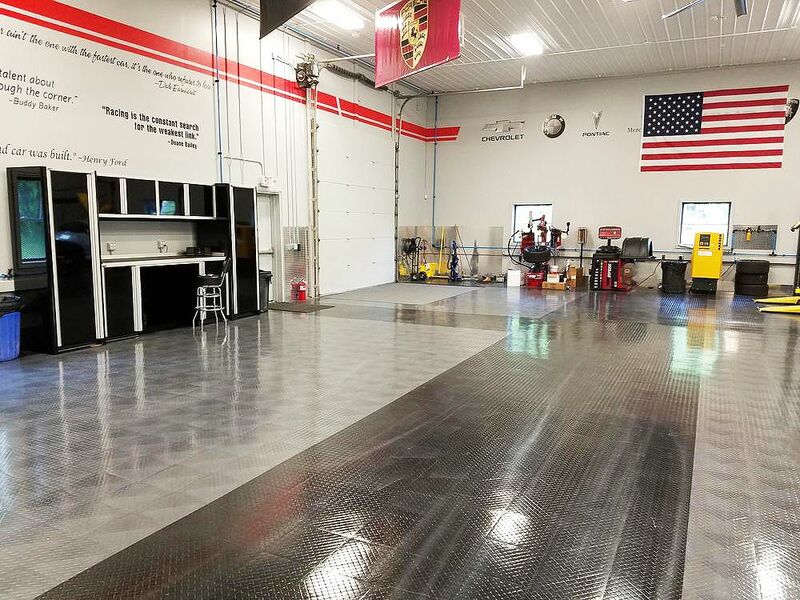 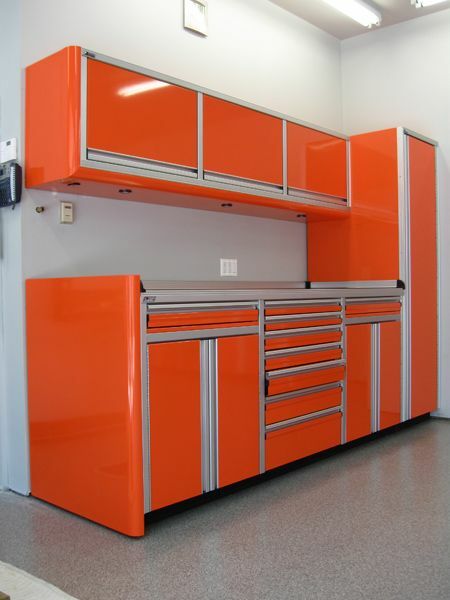 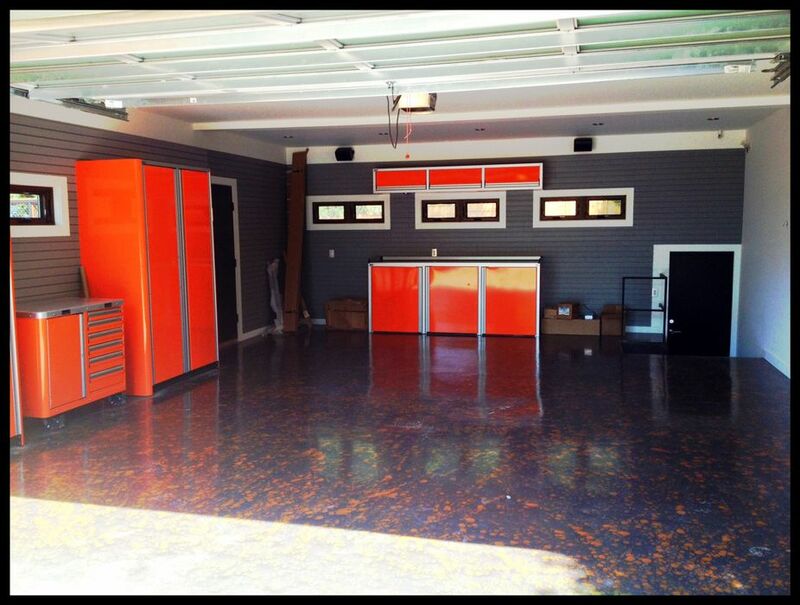 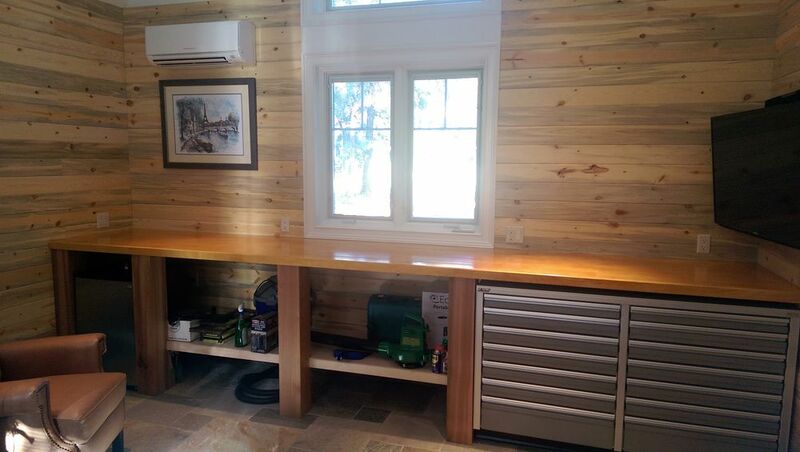 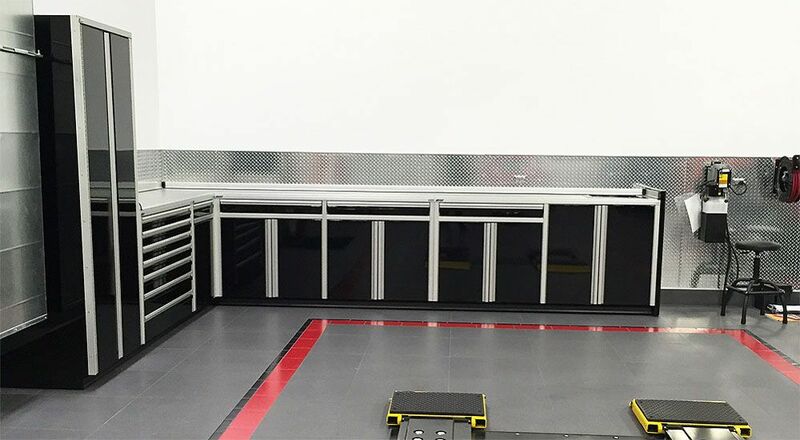 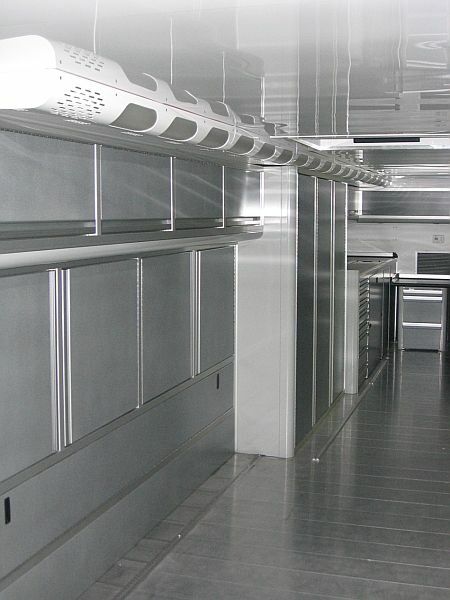 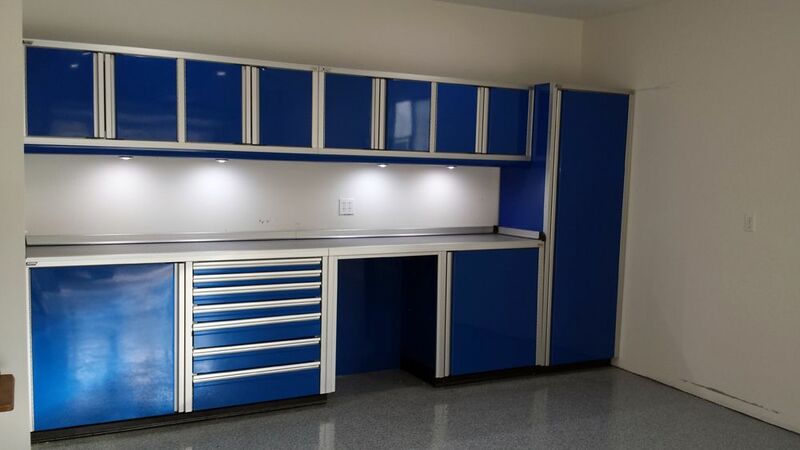 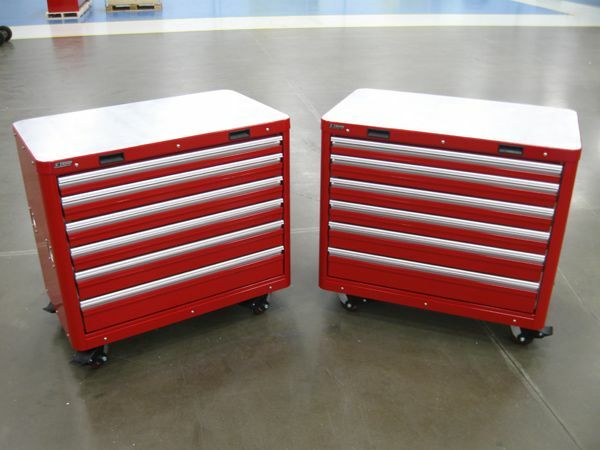 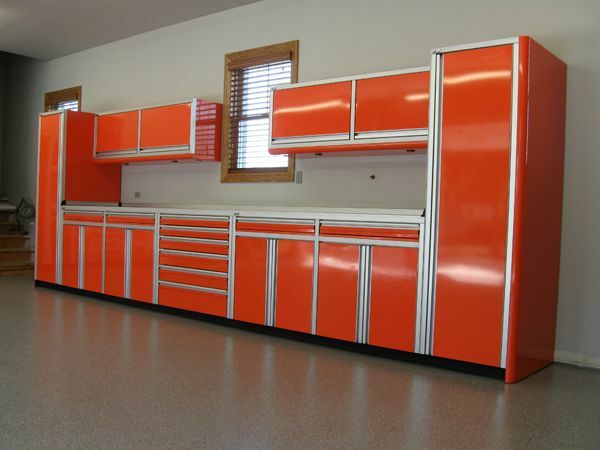 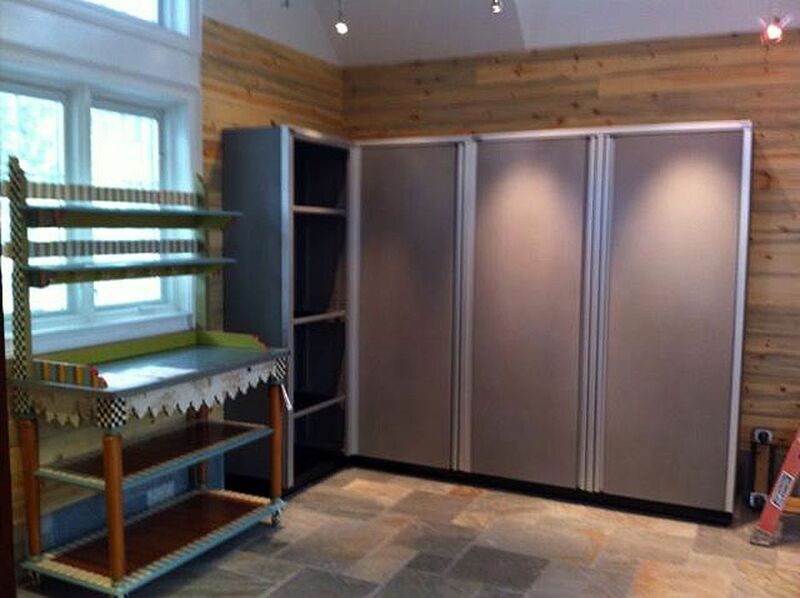 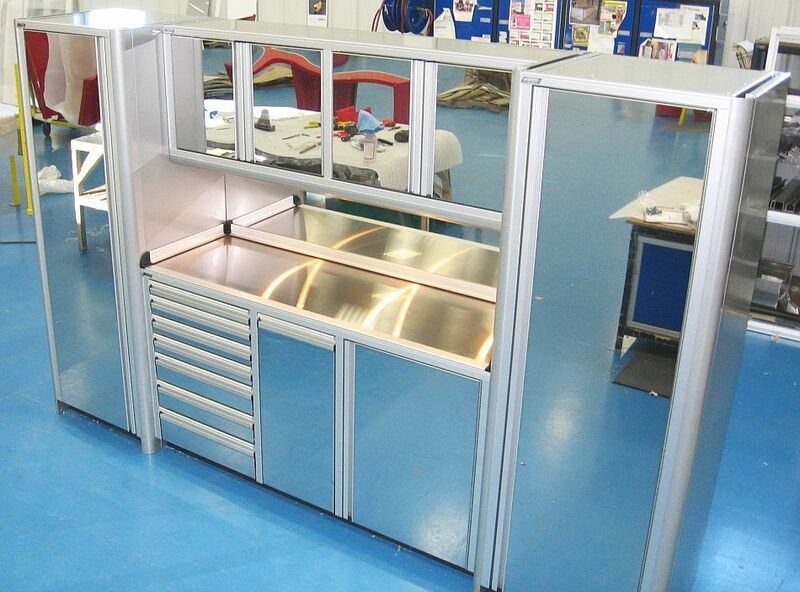 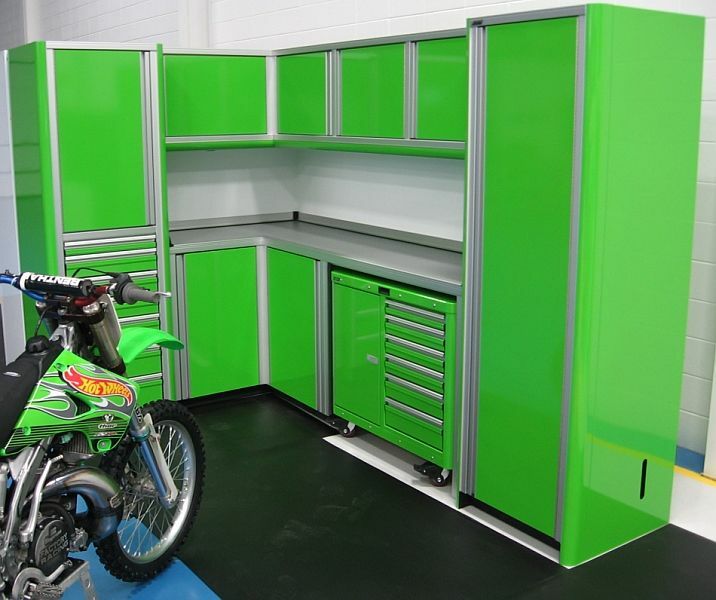 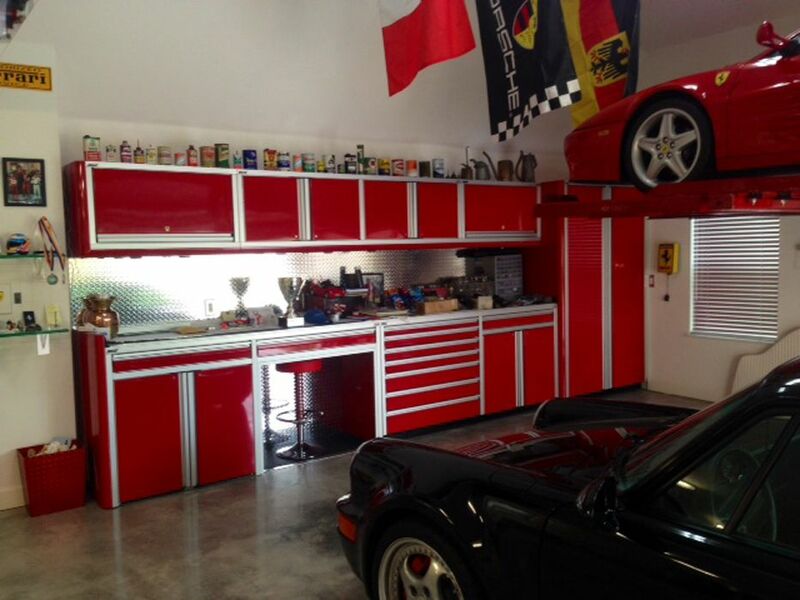 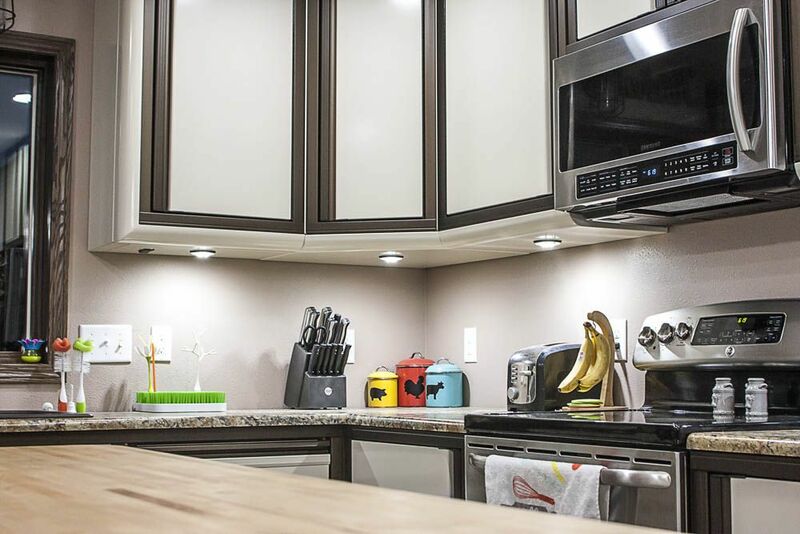 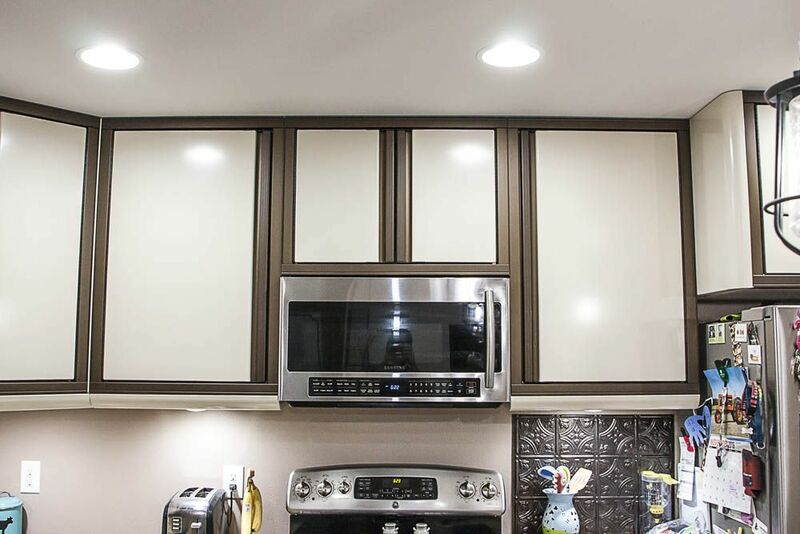 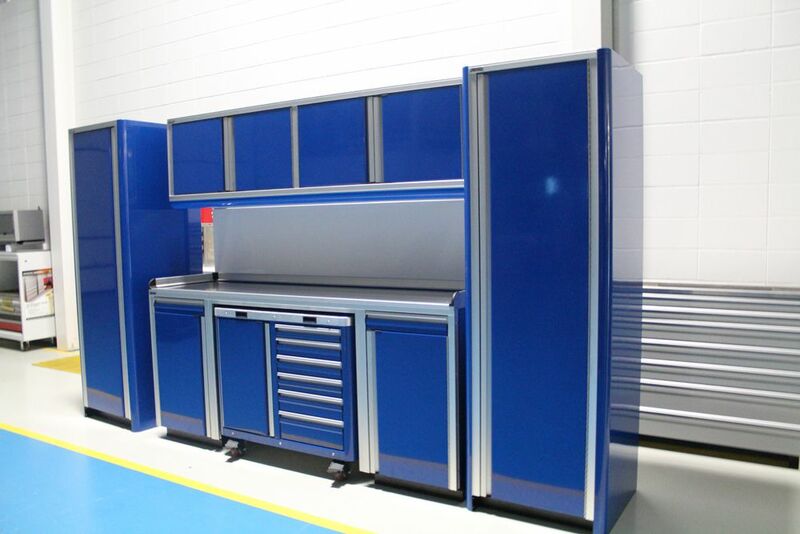 Perfect for the true car guy, you will not be disappointed by the quality of these cabinets! 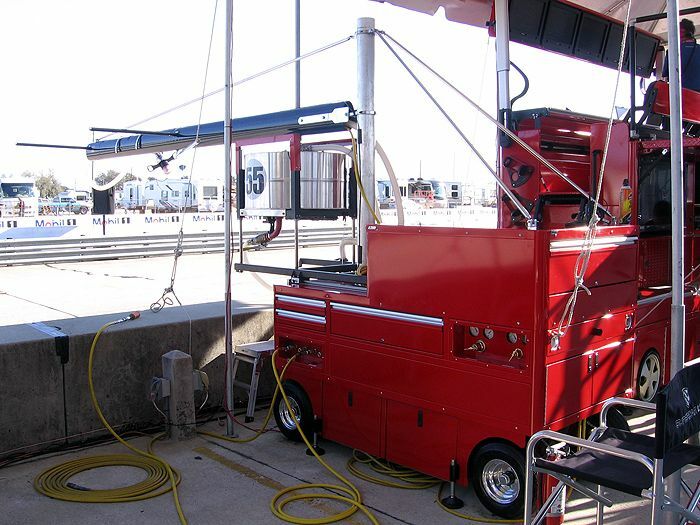 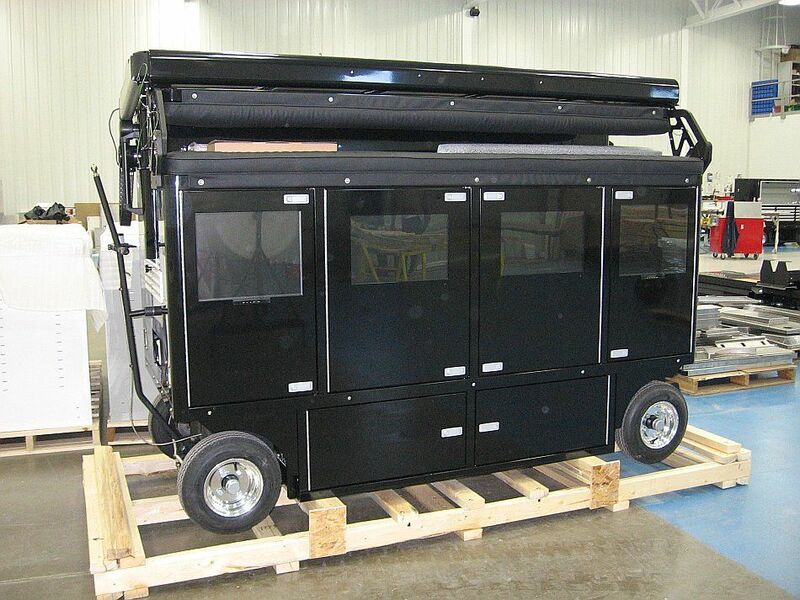 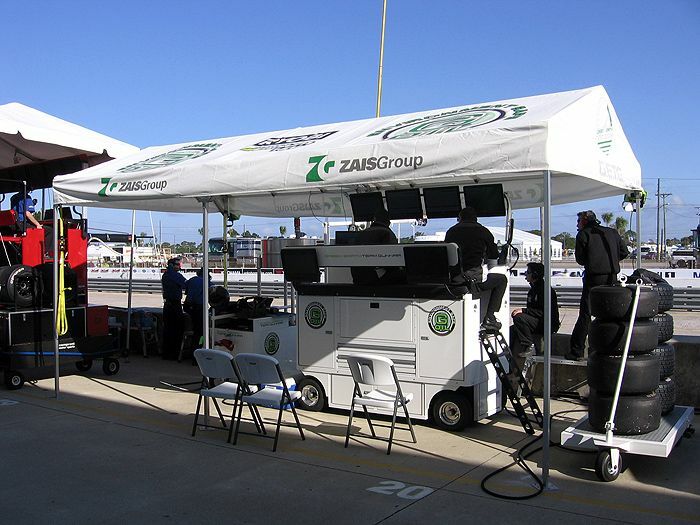 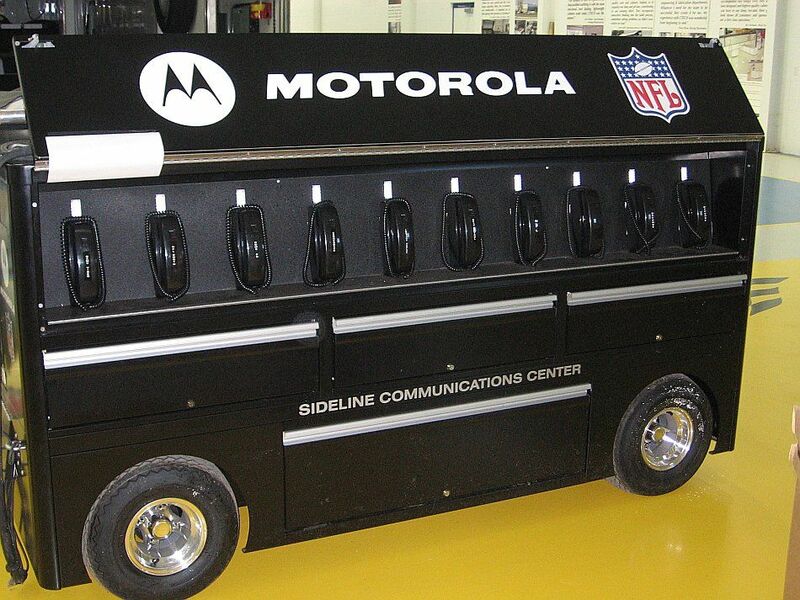 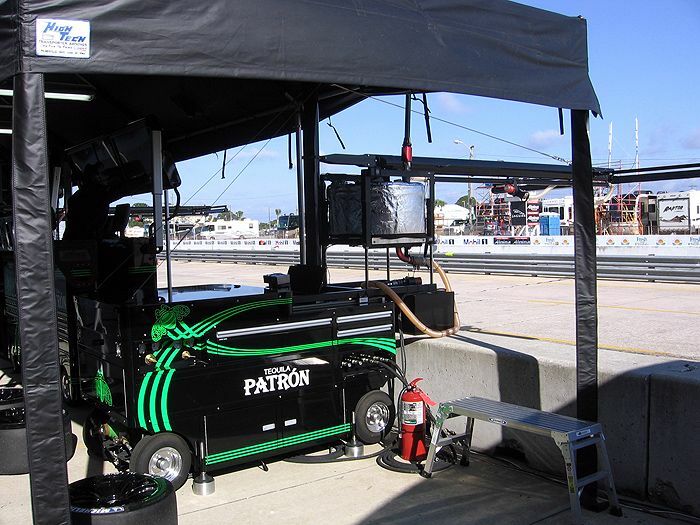 1 - Caster Cart is included.